Back Once again with another LED Test and Review. This Time we are working with Nextlight systems. Let us start with the Unboxing. 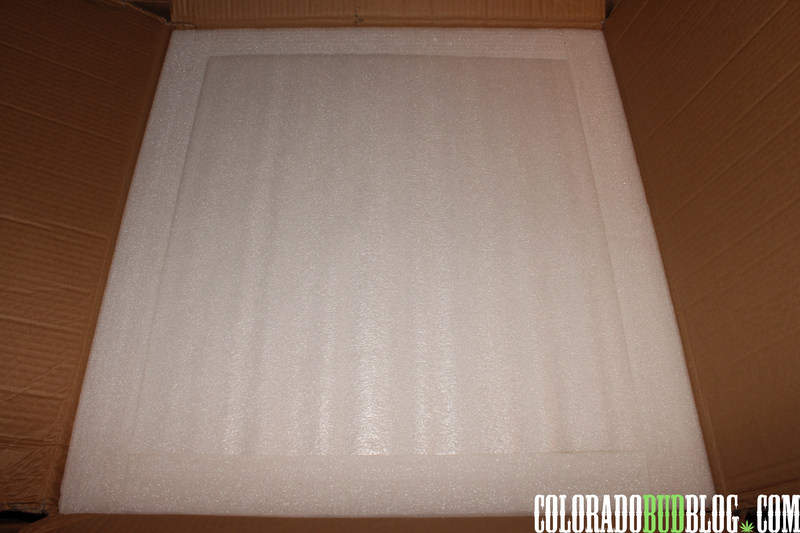 Inside the Box you’ll find your light secure by heavy duty packing material that keep your light from moving while in shipment process. 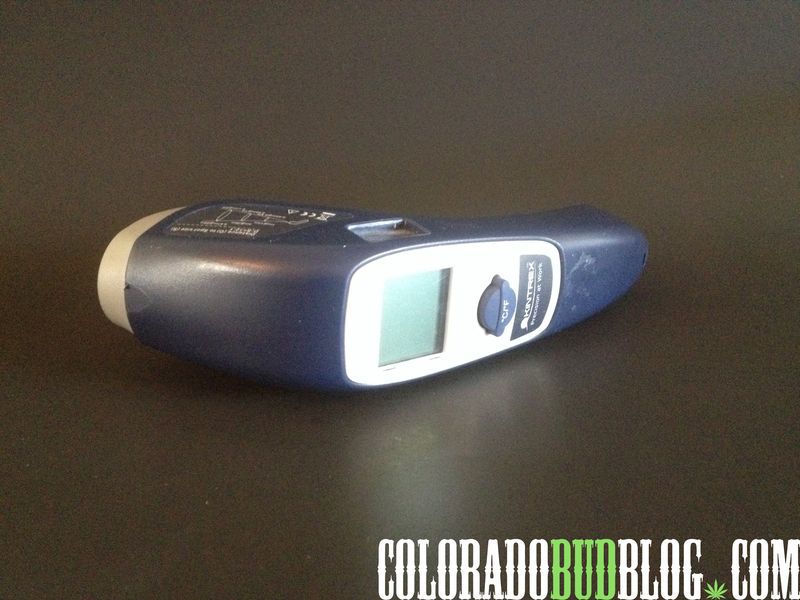 Unit came in excellent condition with no issues whatsoever. Lets Get this Baby out of there! Take a Look at Nextlight. A Sleek LED system with White Housing, sure to reflect bouncing Lumens. 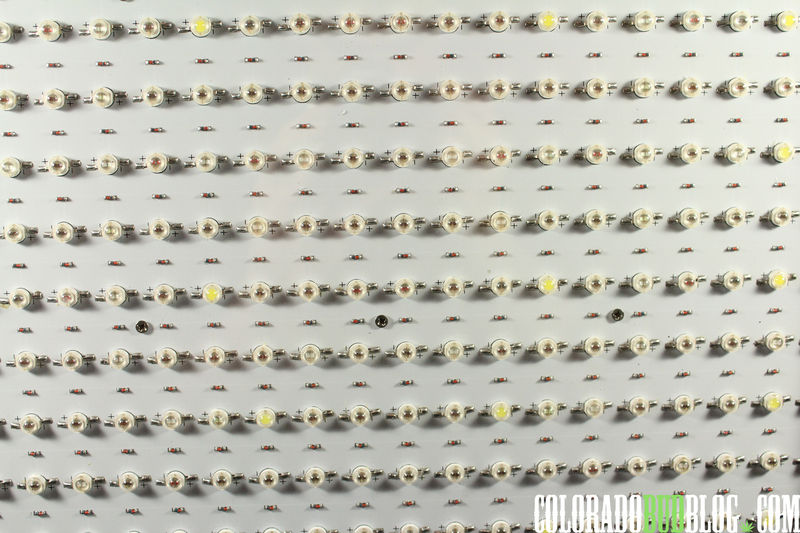 Each Nextlight LED System contains 96 American made, full spectrum white LEDs — using just 525 watts. 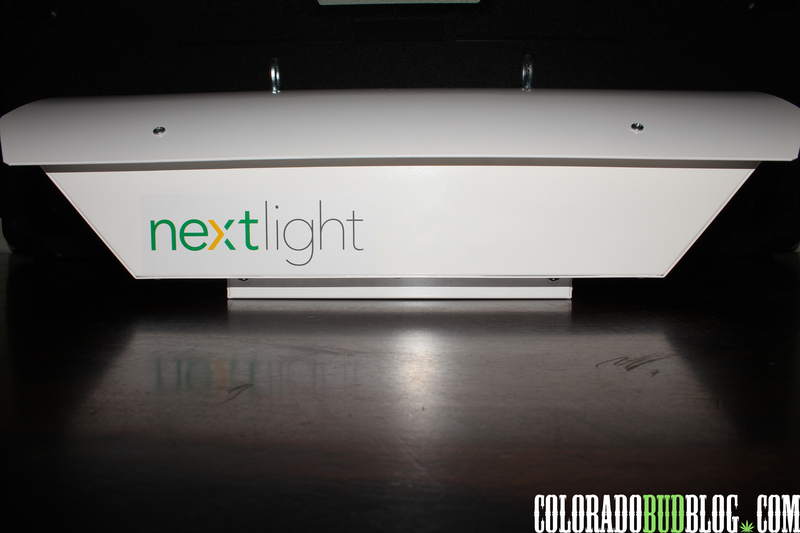 Each Nextlight System provides a grow footprint of 3’ x 3’ for flower period and 5’ x 5’ for vegetative stage. NextLight can maintain a 70,000 hour life rating at 100 degree F ambient conditions. Both Ends have Plenty of ventilation, keeping the unit breathing easy and cool. 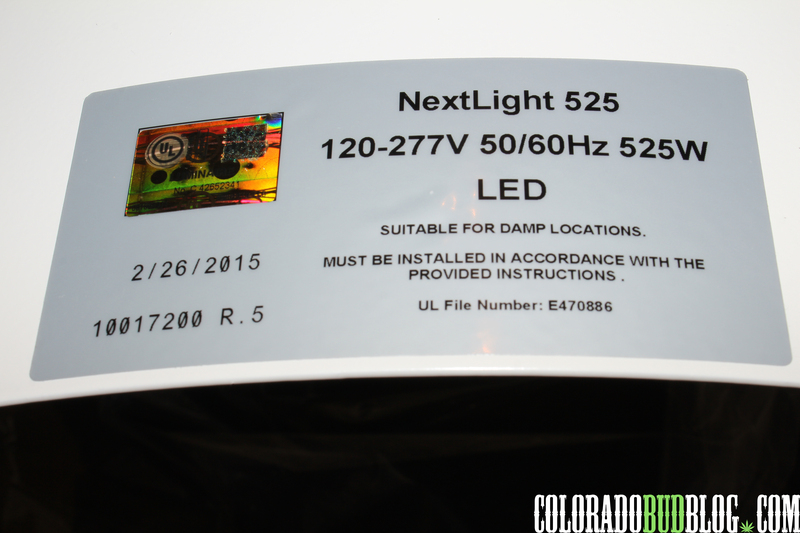 Nextlight says their units emit 75% less heat than than 1000 watt HPS. Sturdy Eyelets to hang the unit. 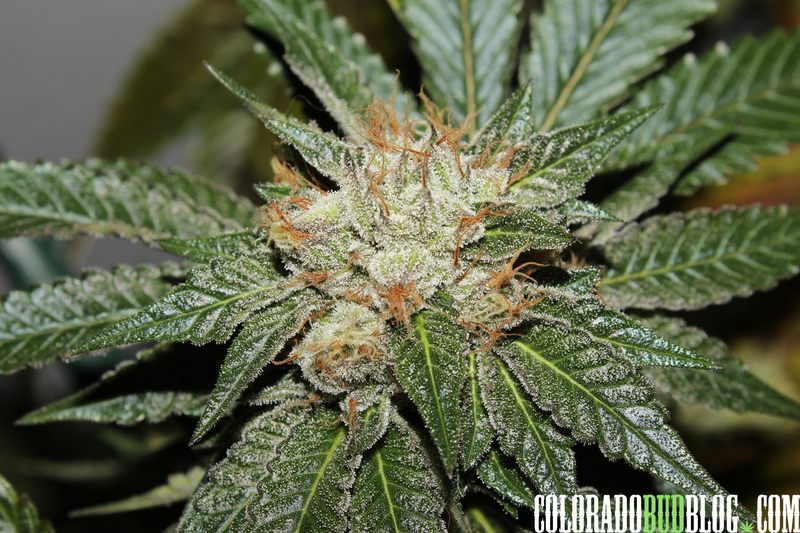 NextLight is a true HPS 1000 replacement — proven to grow. The green line represents NextLight’s spectrum, which encompasses the full spectrum of the HPS 1000. Unlike the misguided purple LEDs of the past, NextLight matches and extends powerful white light that’s proven to grow. Stay Tuned For the Trials and updates!!! I have begun Cloning and will Veg in a 5×5 tent with a single Nexlight unit. So Keep your Eyes Peeled. 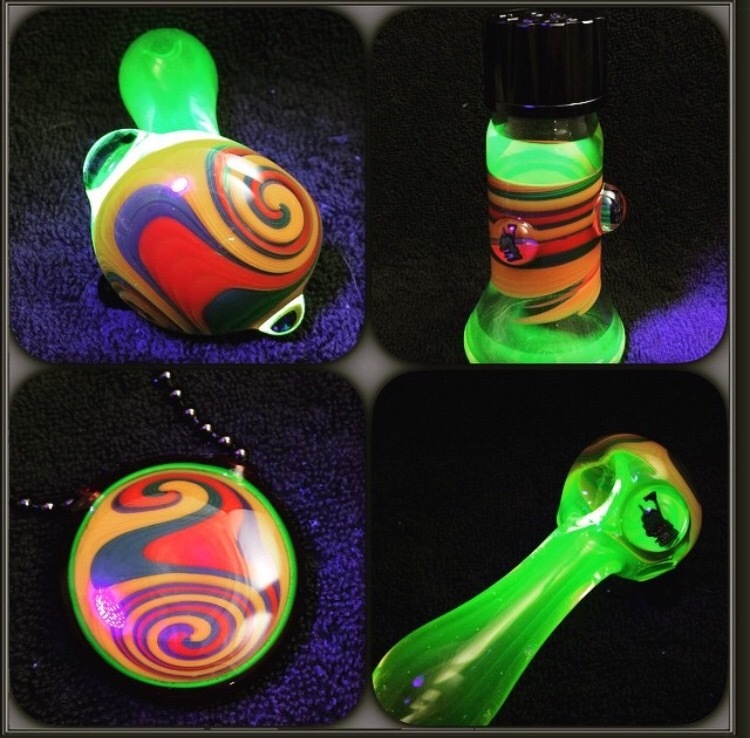 Karl Myers has been blowing glass for 12 years and recently transitioned into showcasing his own unique style creating functional and non-functional pieces of art like pipes, tubes, and pendants. Today i wanted to show off this 10mm Mini-tube from Karl73. Futuristic “Tetris” design with incorporated colors Oregon gray, Really Teally, and black. Equipped with a 10mm joint. Slick Black rimmed Mouthpiece offers great contrast with the purple. 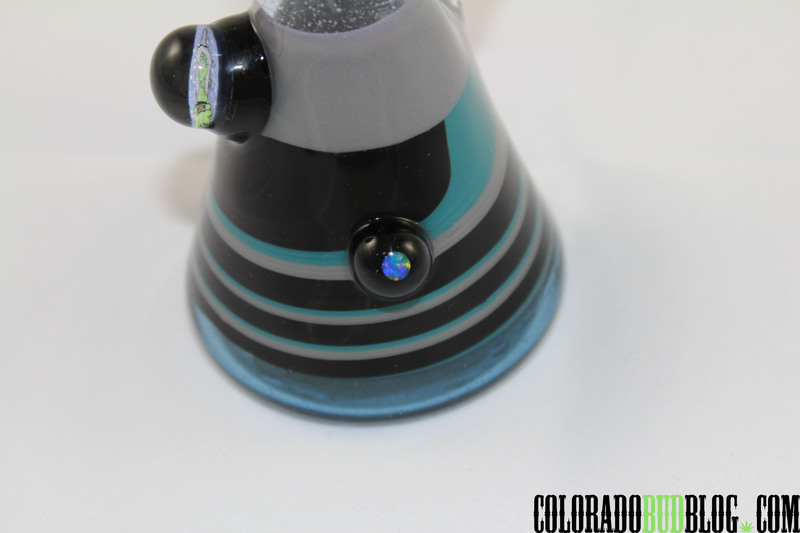 Beautiful opal marble blinging off of the side of the beaker style base. Transparent purple along the tube. 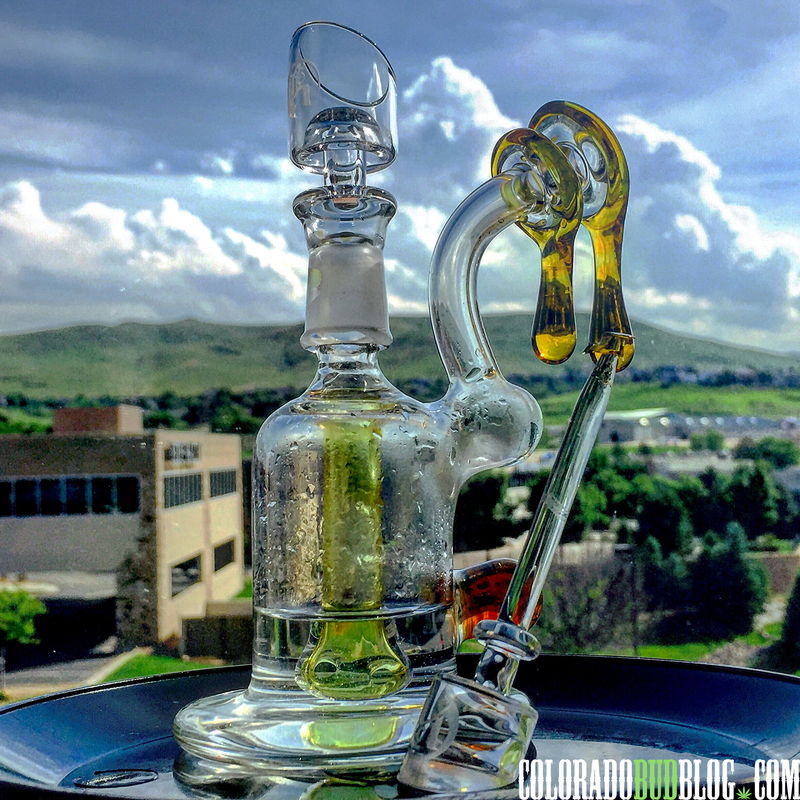 This Heady little beast has the right chug to dish out perfect dabs at home, or on the go. 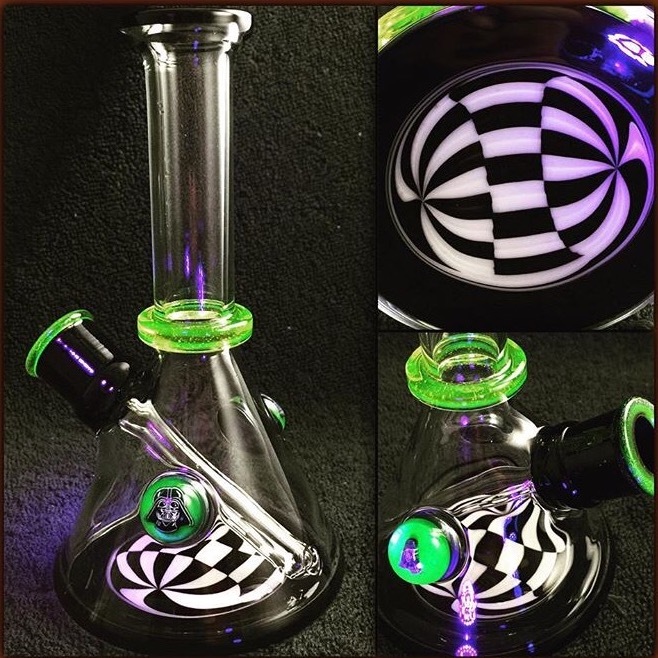 Make sure you go Follow “Karlseventythree” on Instagram to score some amazing glass like this. Also, look for Karl on Facebook under “Karl Myers” for more. Have a great night friends. 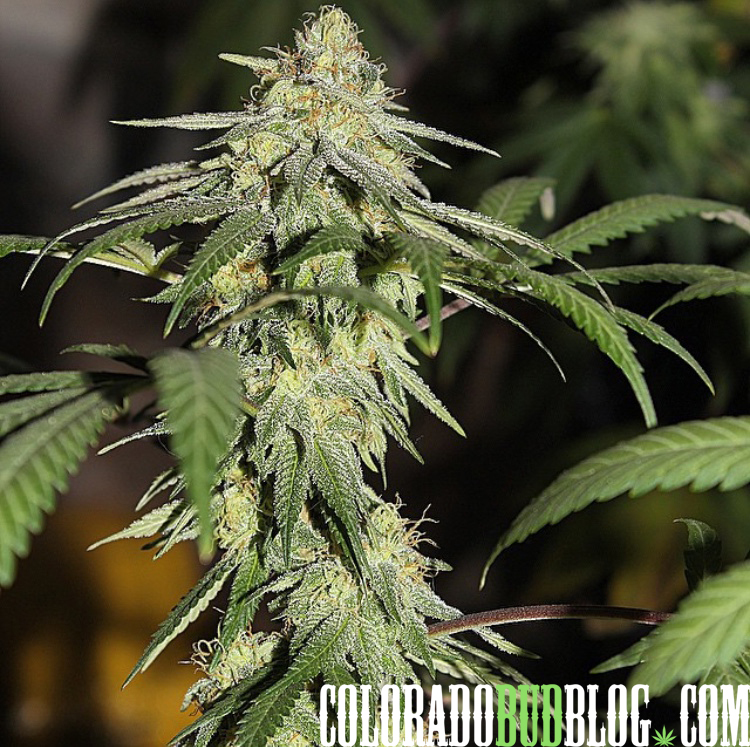 The Black Dog LED Platinum XLU Light was tested along Side standard 1000w HPS lighting. I used the same Clone Only Strain of Gods Gift to do the test. 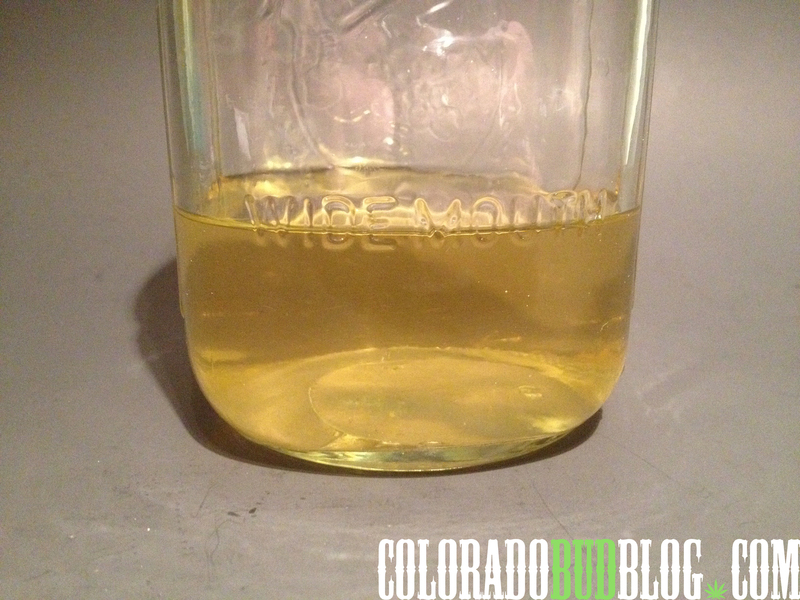 The Medium was A depleted Soil that was Void of any Nutrients, and I used Dragonfly Earth Medicine Line. Exact Same size Pot, Feeding schedule, and treatment. Early Veg looking through the Method Seven Black Dog Operator glasses. Early on in flower I noticed that The led side created a more even flower set and canopy, and stayed a bit shorter than the HPS. After the stretch, the Led side remained a few inches shorter, but more even. 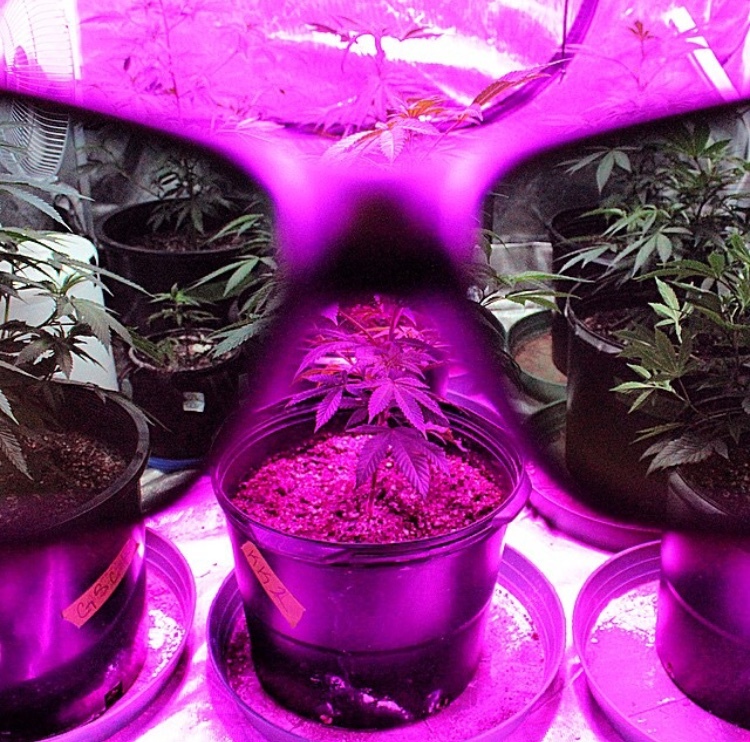 Led resin is more abundant toward the leaf tips and in general. You can see the LED side (top pic) is more rich in green/chlorophyll and is loving the Light. At this point, I can see a slightly larger flower build on the HPS side, but the chlorophyll is less present on the HPS side and its fading faster. I have also begun to notice The LED side desires less water as well. The Led Side is still moving along swimmingly, and desires no extra nitrogen, and is much more happy than the HPS. The buds are starting to dense up a bit faster on the Black Dog Side. Its clear to see the trichomes are loaded on the LED side, and the Fan Leaves are green as can be and they aren’t showing any signs of stress. LED is My Favorite at this point because the Sugar leaves are still caked and have not suffered from any light/heat stress like that on the HPS side, which means my trim will be more desirable to work with when making extracts. 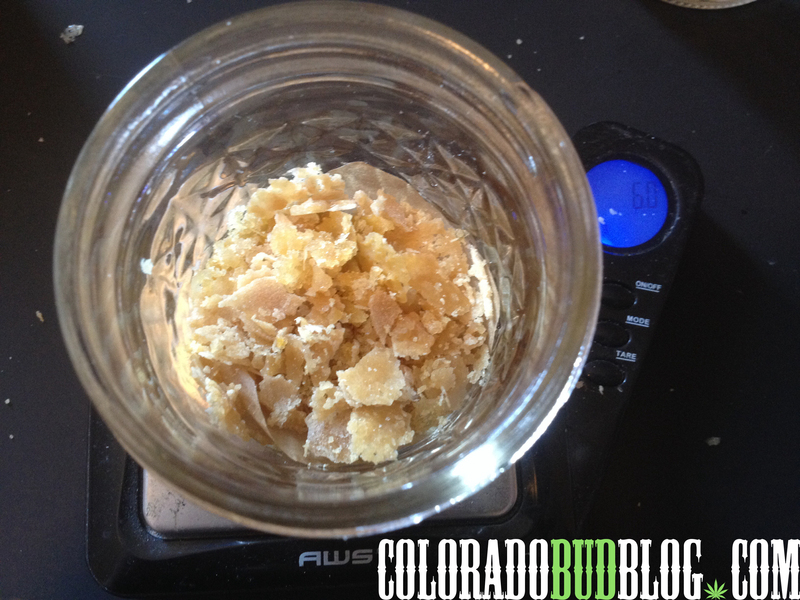 There is simply just more resin, which is actually greasier, and it smells better. 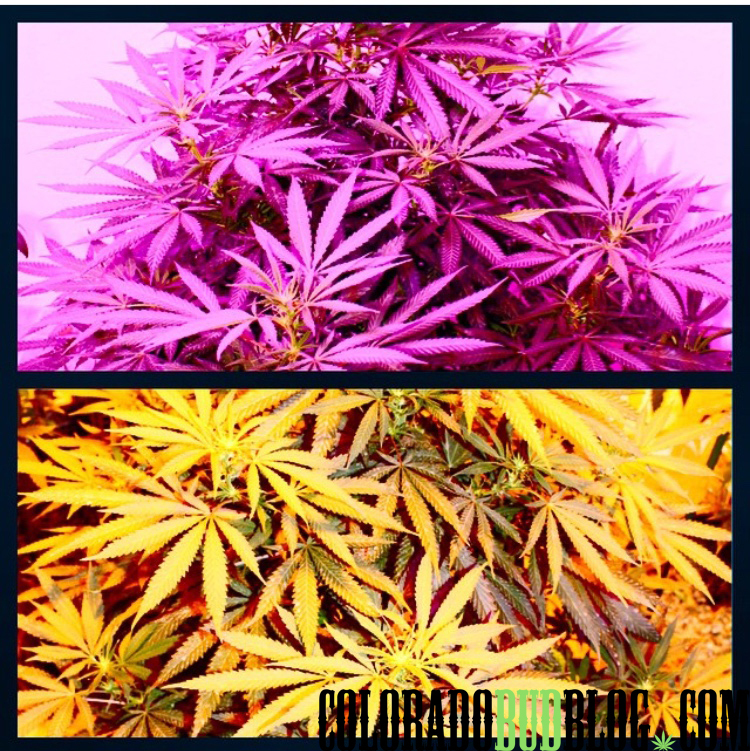 The side by side on dried and cured Gods Gift Flowers. After a month in jars and a 2 week drying period, I’ve determined that the LED is a superior Product in quality and efficiency. 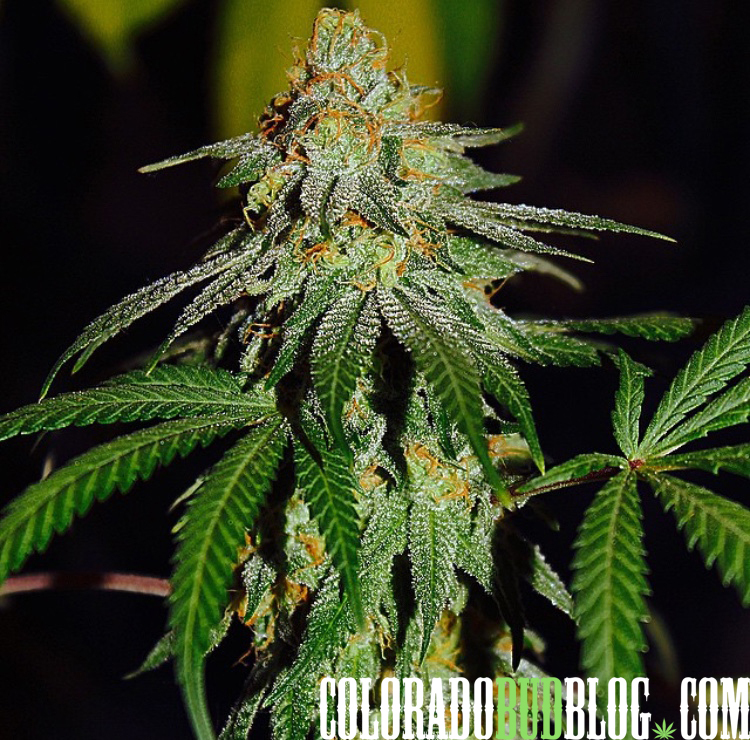 The Aromas and Flavor is undeniable as compared to HPS. 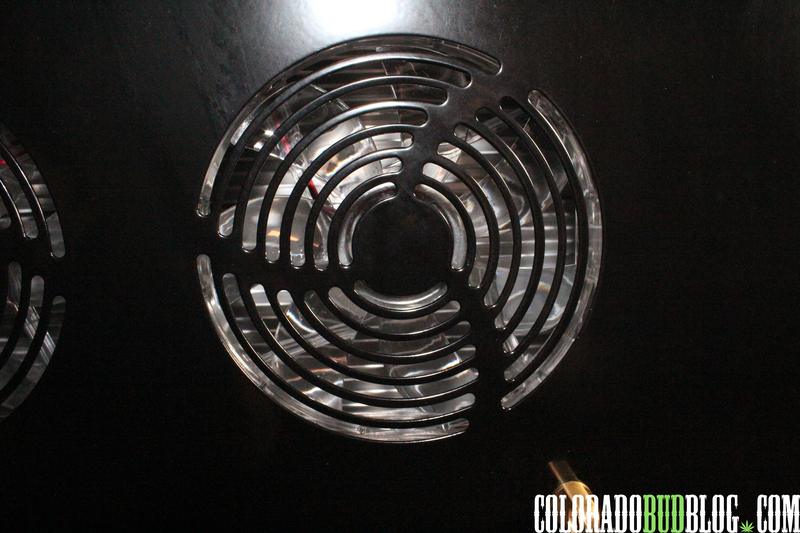 Black Dog LED’s Platinum XLU Light is an all out Winner in every aspect. The main thing that i noticed throughout flower was how much more Lush and Green the LED side was throughout Her Life in contrast to the HPS Side. Gods gift took the Environment like a champ and without any ill effect. 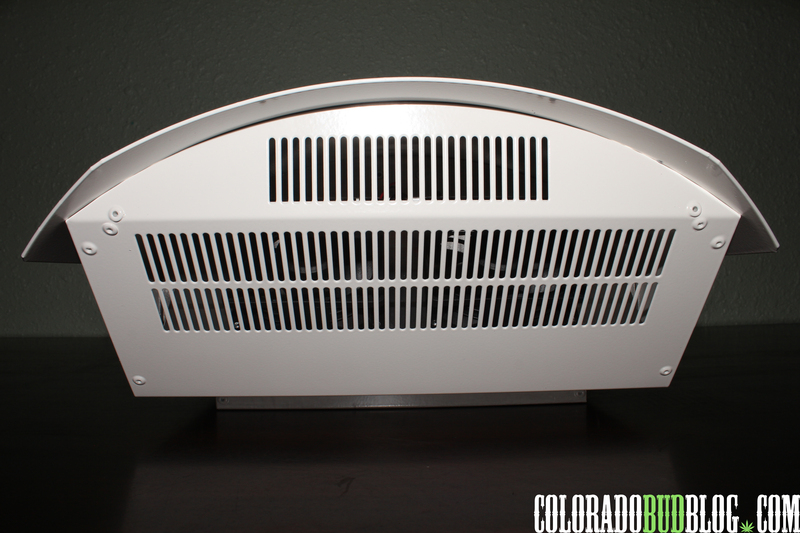 A huge benefit that i see is for for the grower struggling with heat in the grow room. When Growing with LED it is important to raise the ambient room temperature to around 85 opposed to a conventional 75 degree sweet spot.. The reason this is necessary is because the Leaf surface temperature has to be high enough to achieve optimal photosynthesis, we achieve this by providing a warmer ambient temperature in the room. Lets recap on the LED Benefits…. 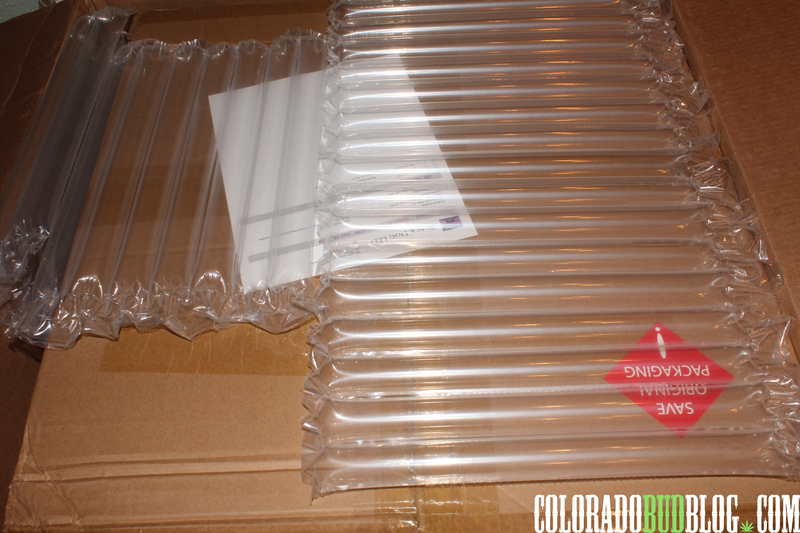 The smell on the LED side is Noticeably Brighter, richer, and more complex than the HPS side. 22.5% more efficient to run. The bag appeal is Very nice and equates visually. The Flavor translate a bit sharper on the palette from LED. It was less expensive to run for the duration of the grow. 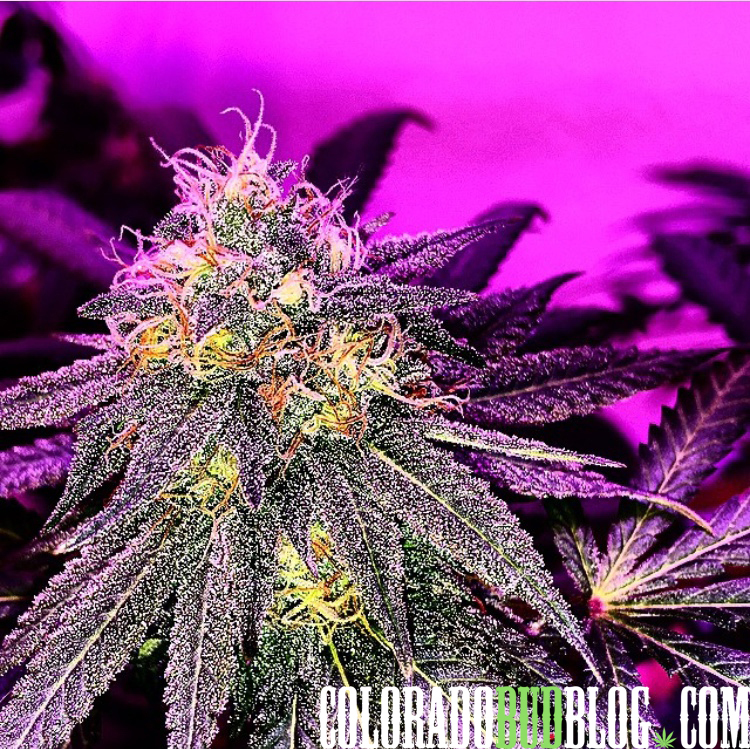 Easily I would Say that the Black Dog Led Platinum XLU light does beat out a standard 1000w HPS when you factor in Efficiency, Operating Cost, fruit Quality, and over all health of the plant. I will continue to use this light and update with thoughts. Here is a picture of my current Black Dog LED Grow that i am experimenting with mixed spectrum. 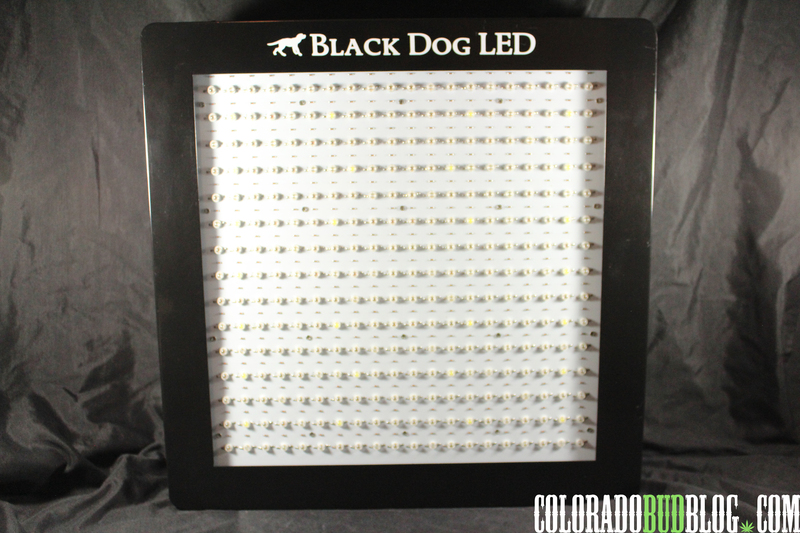 Get to http://www.blackdogled.com today and scope out their variety of lights and gear, and get Growing. 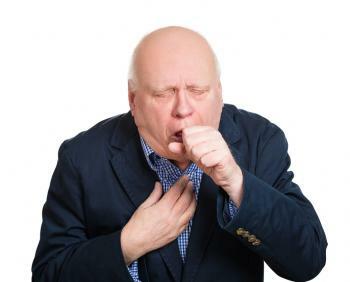 Are you often scared of getting Herpes, or the dreaded “Cup Cough” from attending Marijuana Social events and Festivals? Look No Further than Mouthpeace. 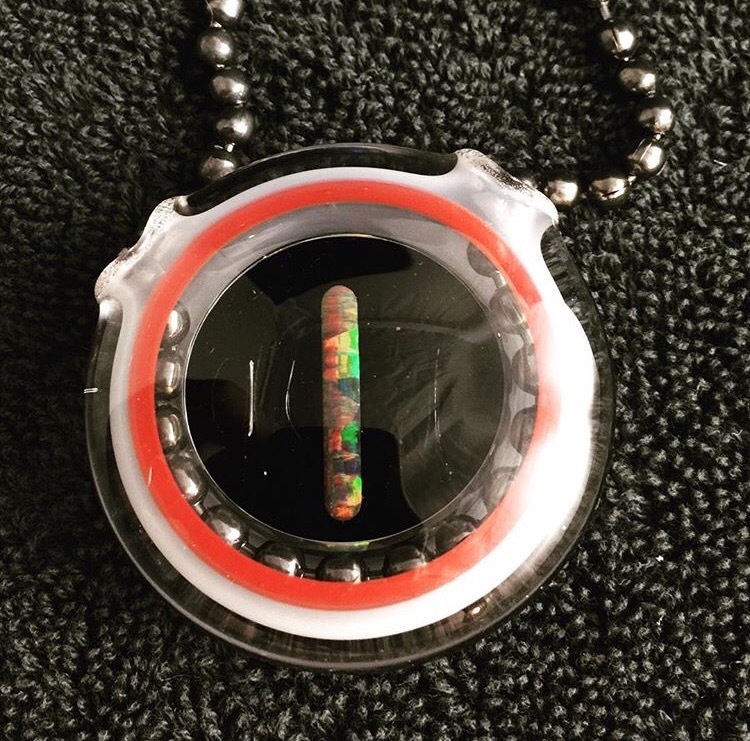 A 100% Platinum Cured Silicon MouthPeace to insert in virtually any Pipe, Bong or Dab rig, even some joints and vape pens might fit. 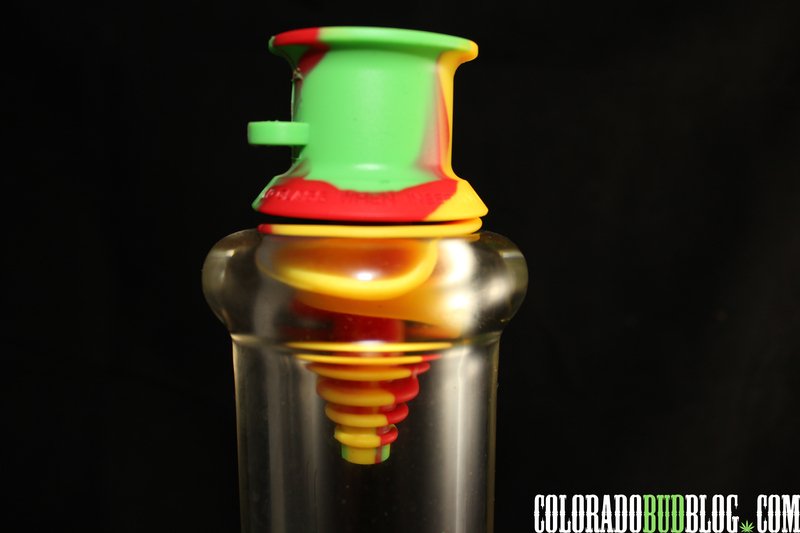 The Flexible Ribbed and tapered cone design allows you to secure your Mouthpeace to most all Smoking devices. By using pressure when pressing your mouth against the unit, you create a tight seal that allows you to draw hits with ease. 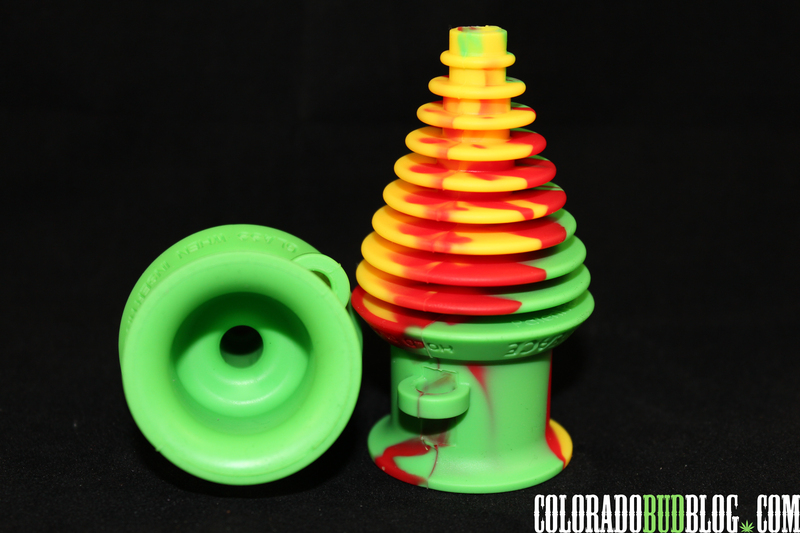 You want the Mouthpeace for Pipes? No Problem! Even those 10mm Mini Tubes for on the Road..
Mouthpeace did us all a favor by creating this device, no more germs and illness exposure while trying to have a good time. Don’t forget your nifty Lanyard attachment. 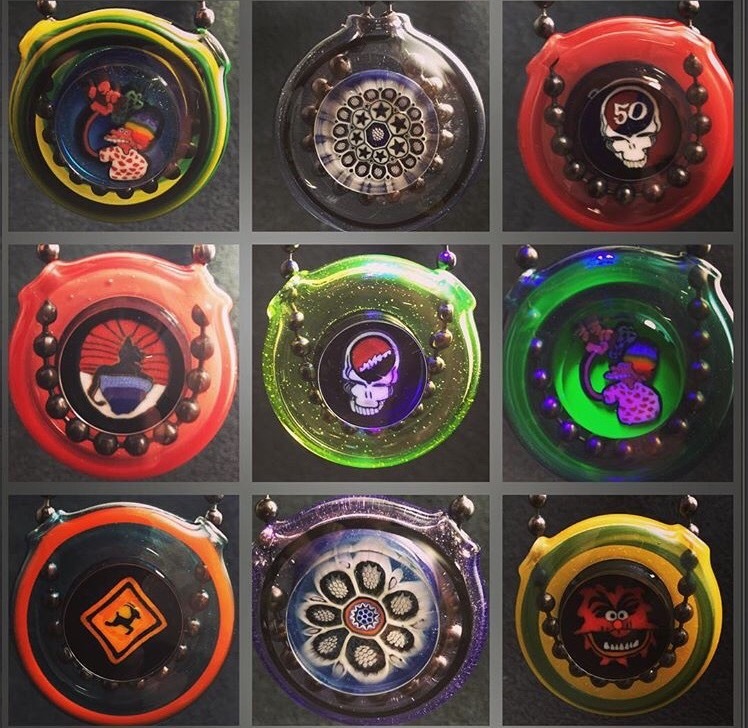 Rock your MouthPeace around your Neck so you wont lose it. MouthPeace is the way to travel when “Hitting” the Weed Events. MouthPeace is Available in Many colors. 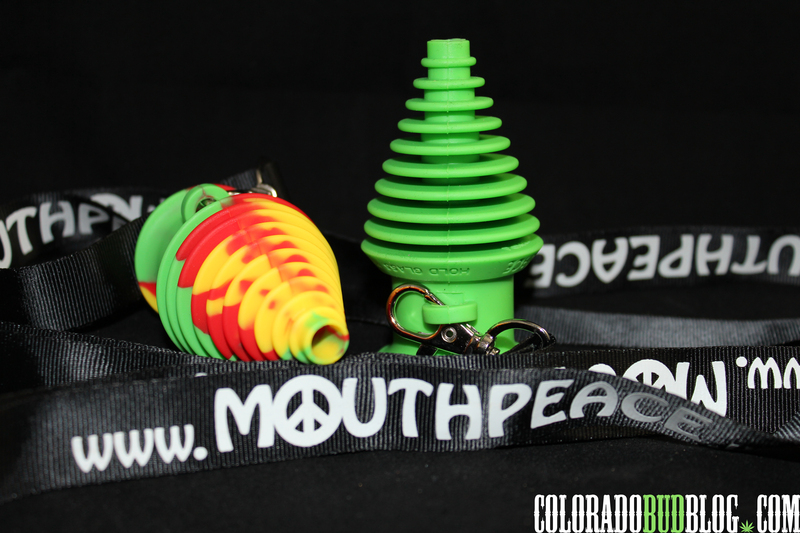 Be sure to check out the website at http://www.mouthpeace.us and get yours today! 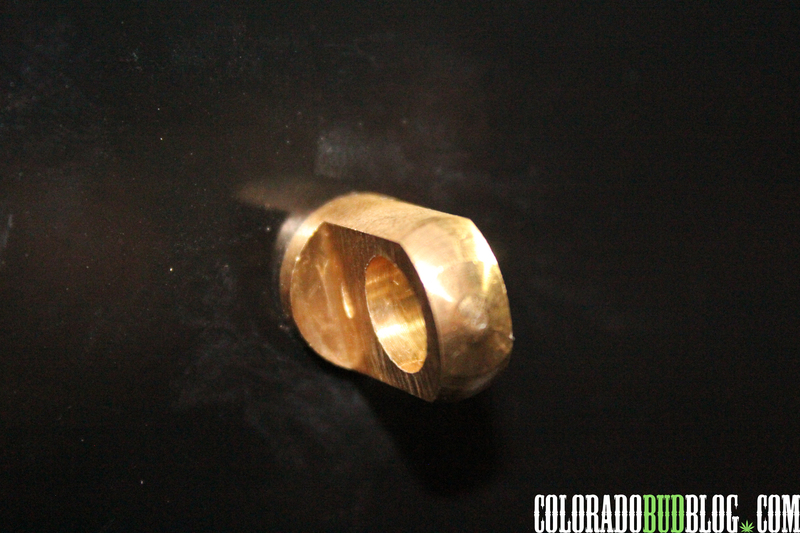 Joel Halen Has been Pumping out Functional Art and Quartz Nails for years. 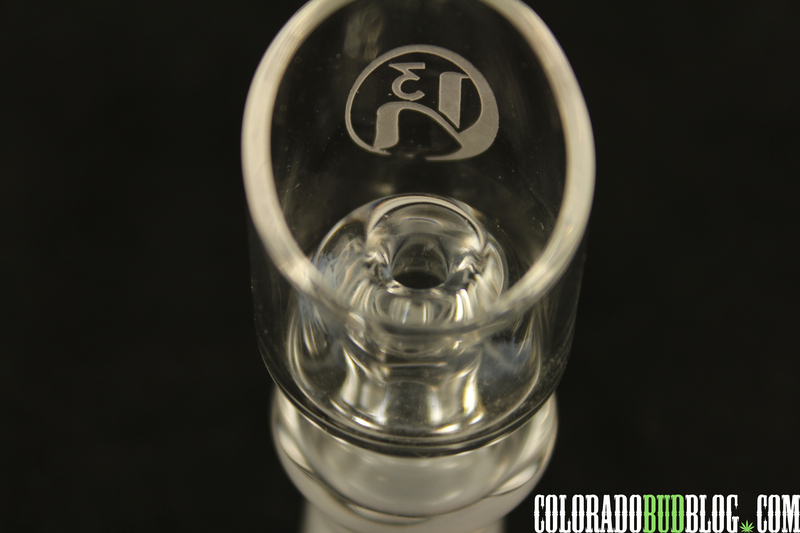 Made in Colorado and internationally known. 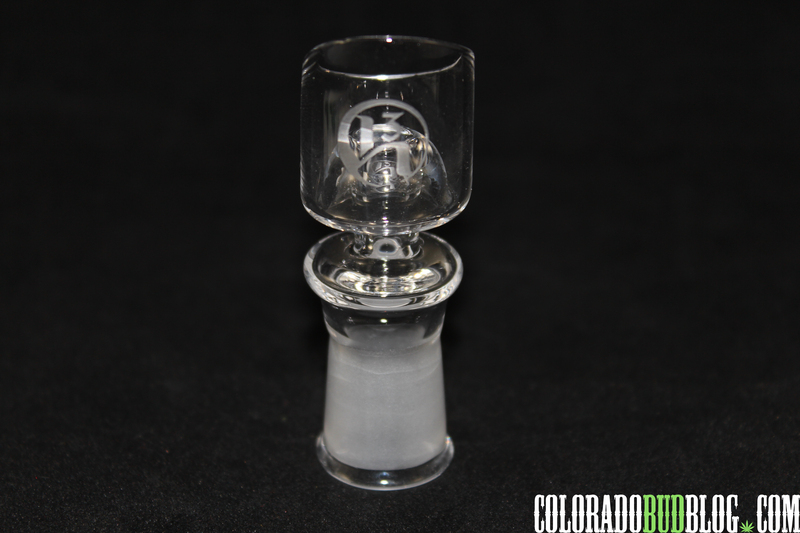 The H3 Design was created by Joel Halen and is Constructed of 100% Quartz, and has been a favorite among Glass enthusiasts. Quartz can withstand higher heats, is more durable, and resists temp changes better than standard glass. 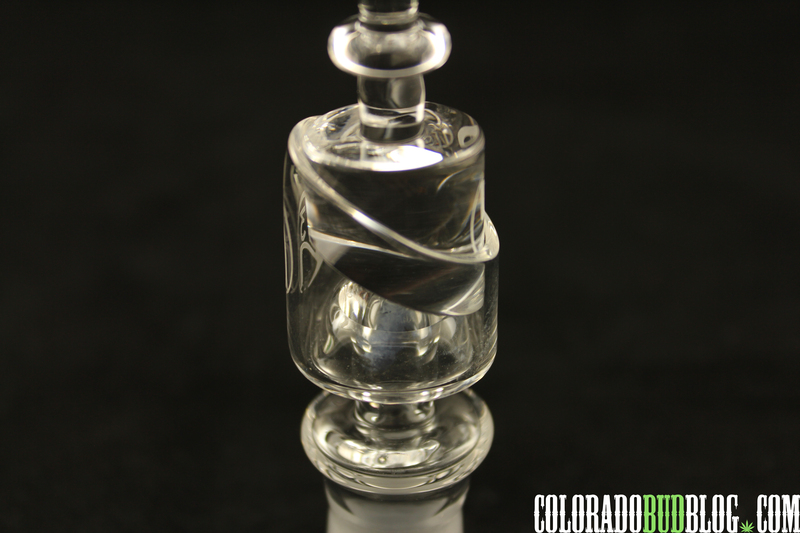 A nice Big Quartz Domeless Bucket to take the dabs you need with a massive surface area for putting in work, all while retaining Ample heat. 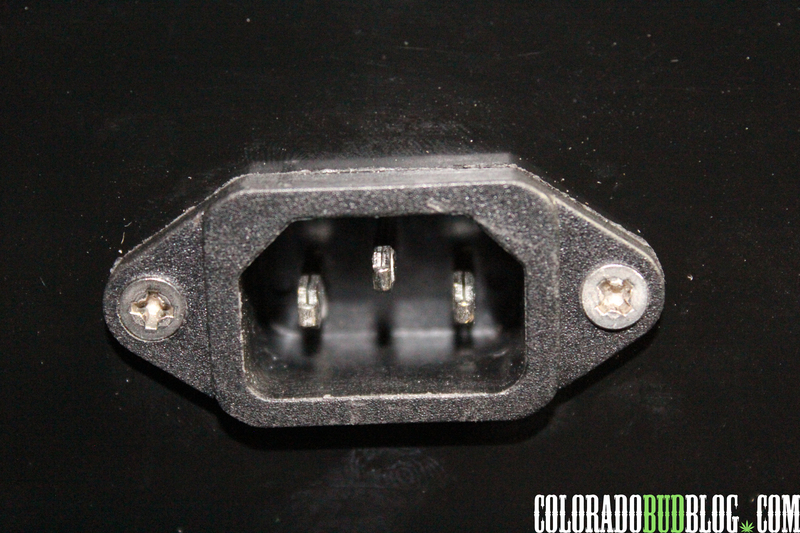 The vapor path Hole is raised up to keep your oil in the bucket and not in your rig. The Flavor retained by this high end quartz is impeccable. 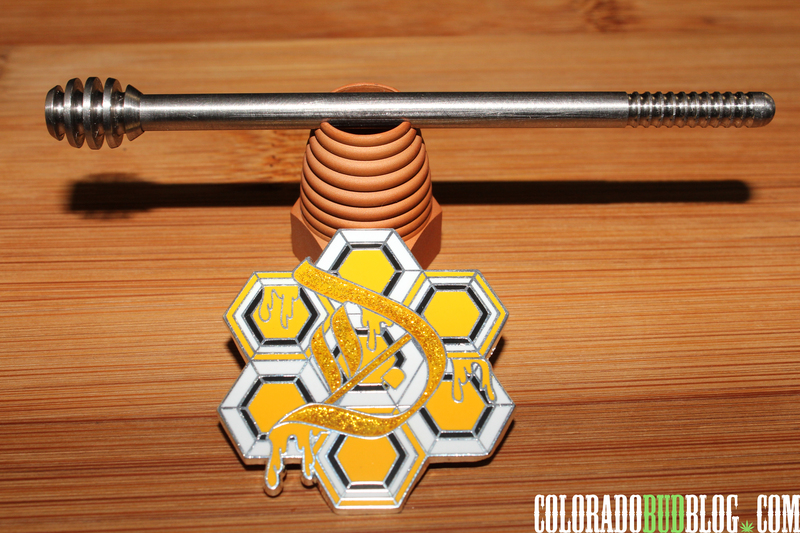 If you aren’t a Fan of Ti and notice a metallic flavor imparted into your dabs as some have said, you’ll love the H3 Quartz Honey Hole. 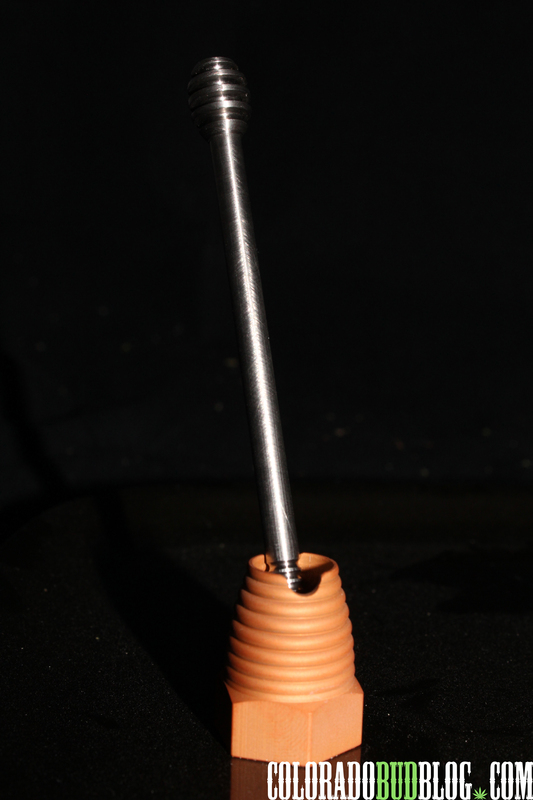 Additionally, Joel creates Quartz Carb Cap dabber which makes low temp dabbing much more efficient. 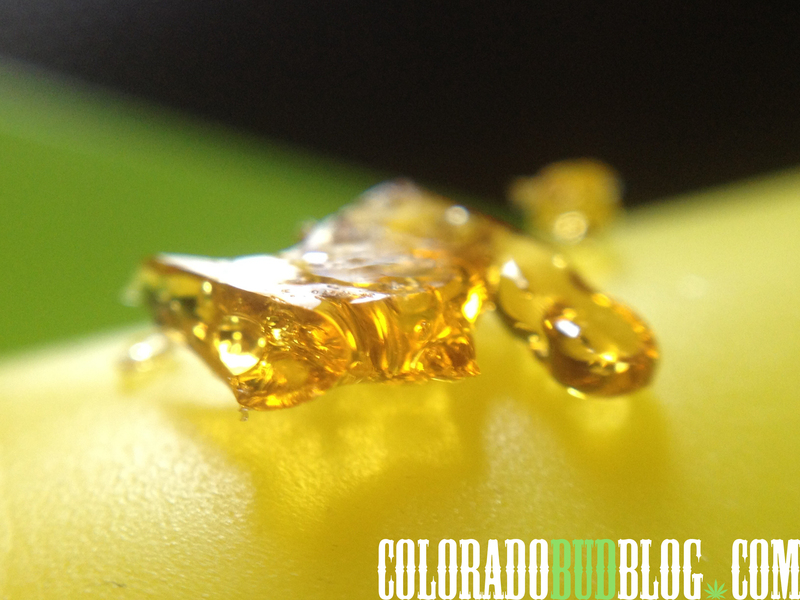 This is where the Flavor in the concentrates really get to shine. 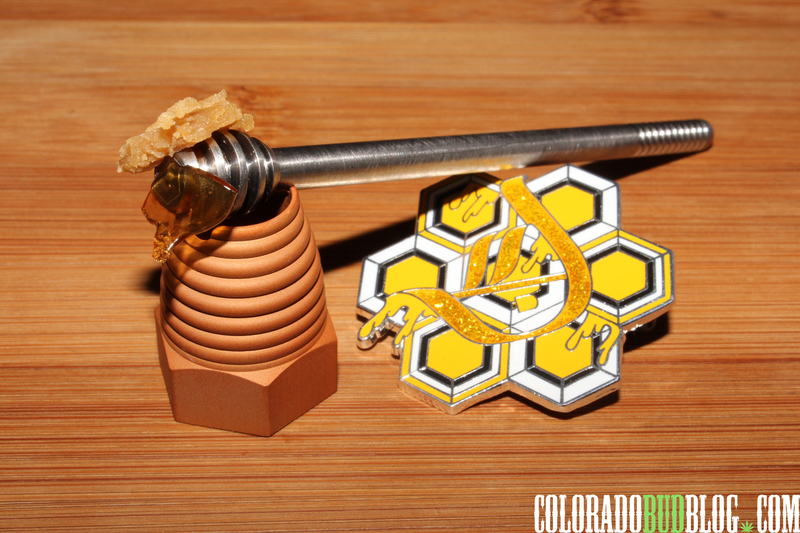 On the End of the Carb-cap is a nice dabber to serve up those terps. 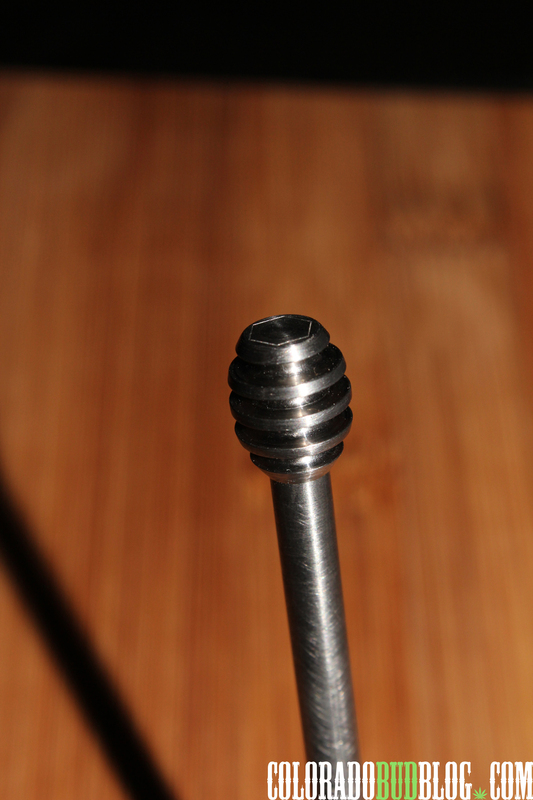 Style out your Rig with the Perfect addition By picking up a H3 Honey Hole available in 10mm,14mm and 18mm sizes with a Female joint or direct inject option. 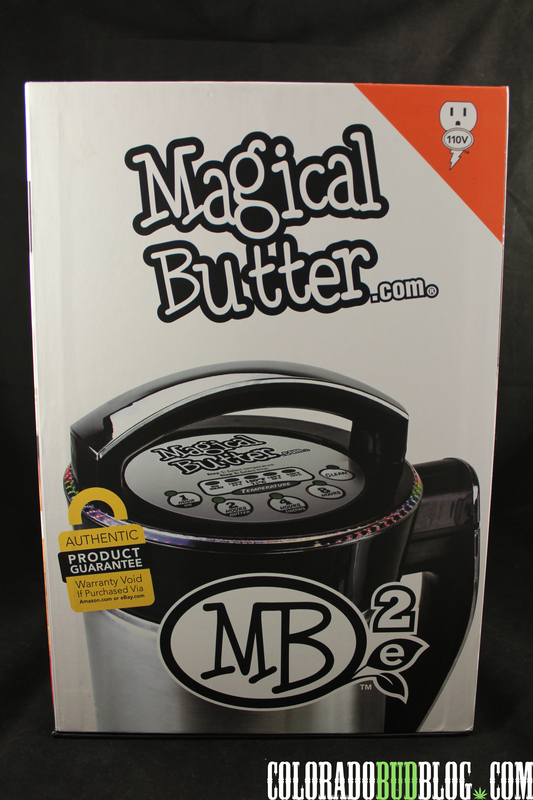 Magical Butter MB2e is in the House. 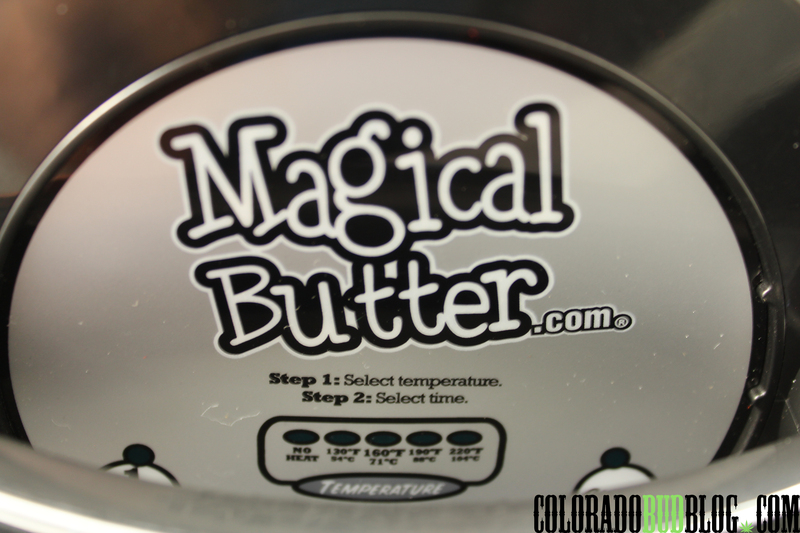 The High Tech and well thought out design of the Magical Butter Machine MB2e is designed to create bases for a variety of Infused Products. These products ranging, but not limited to; Butters, oils, Tinctures, to skin products like balms, Topicals and cremes. 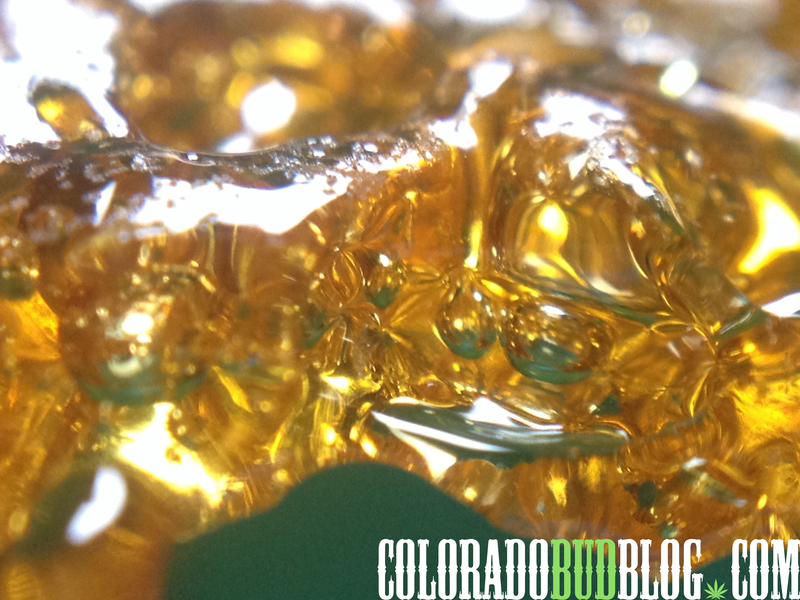 The Magical Butter MB2e is A solid Unit with everything you need to start extracting like a Pro.. The Lid Insert on the MB2e has a propeller that makes sure to mix and grind your material properly while its heating or in No Heat mode. Sure to create a thoroughly mixed end product. 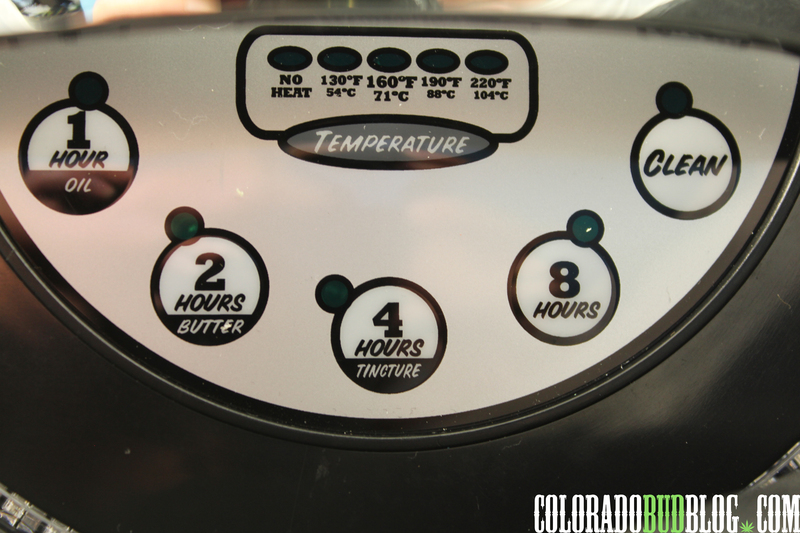 The Magical Butter MB2e Allows you to set a desired temperature to suit your specific needs for the project. 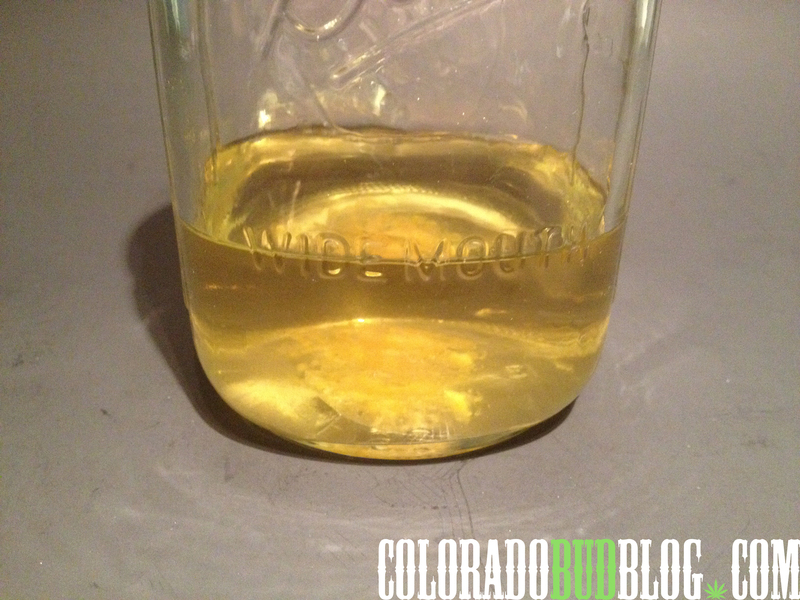 Are you are Living in High Altitudes and Dry Climates? 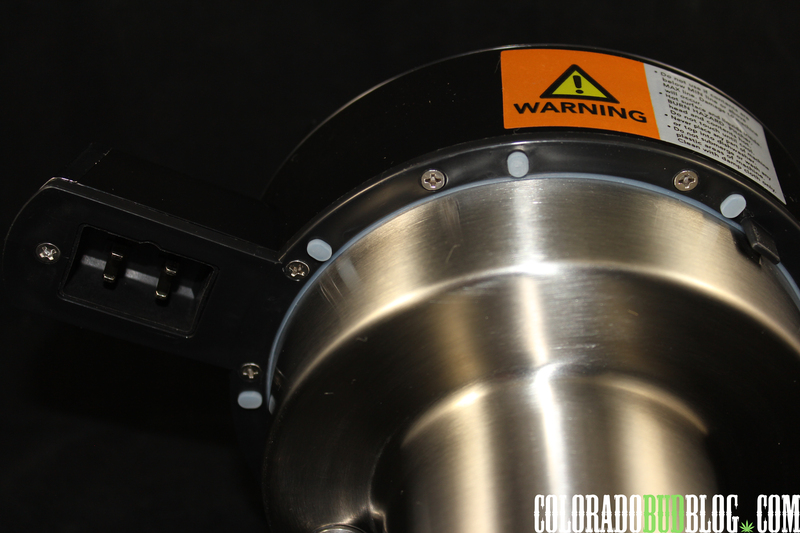 Don’t worry, The MB2e offers 130°F/54°C temperature setting for optimized extractions in such conditions. 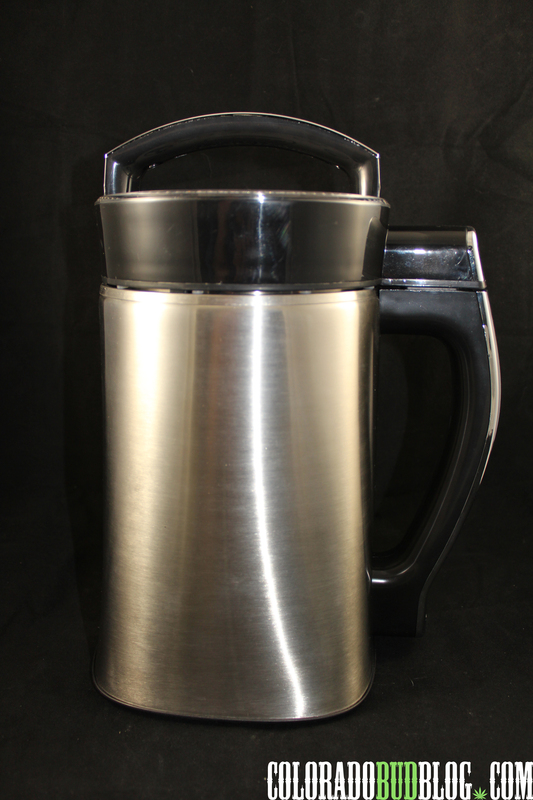 The Magical Butter MB2e holds a Deep Stainless steel vessel to do generous loads. A courteous Product level Line for keeping within the boundaries. 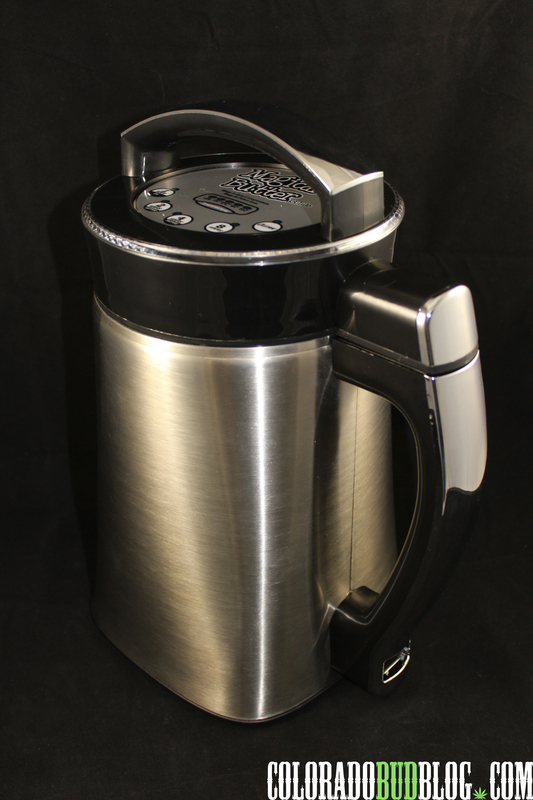 The MB2e is a tough machine with Heavy duty connections from the Propeller lid insert that fix to the stainless steel vessel. 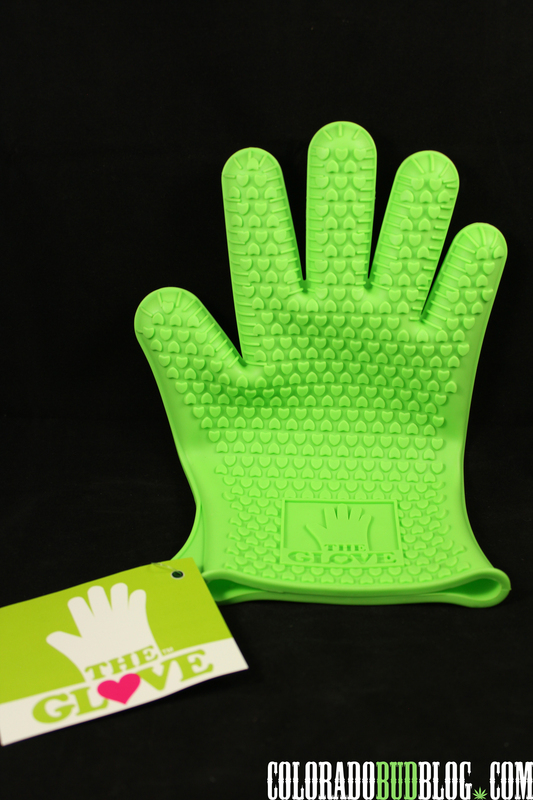 The Magical Butter MB2e Machine comes with a 100 % silicon Non Slip “Love Glove” to help maintain Sanitary conditions with your extractions and is Dishwasher safe. This “Love Glove” is a blessing when doing Heated Extractions, insure that you wont get your hands burned while squeezing. 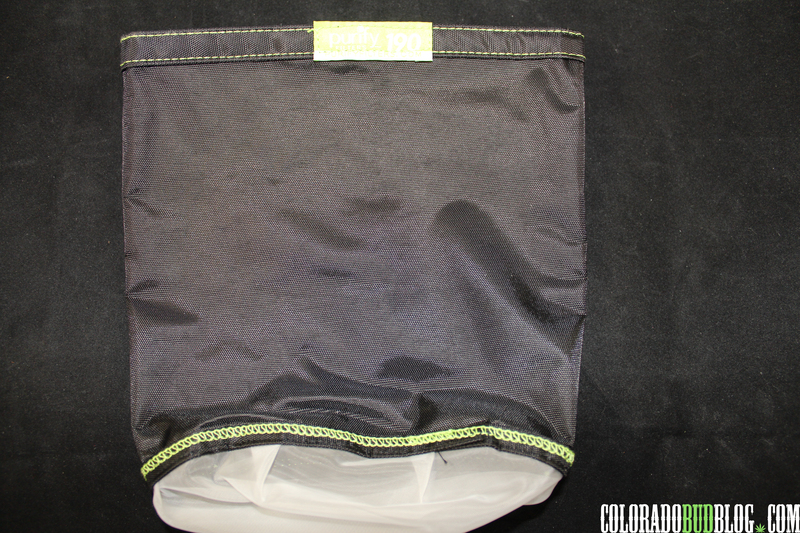 The Purify FilterMesh Bag is Also Dishwasher safe. 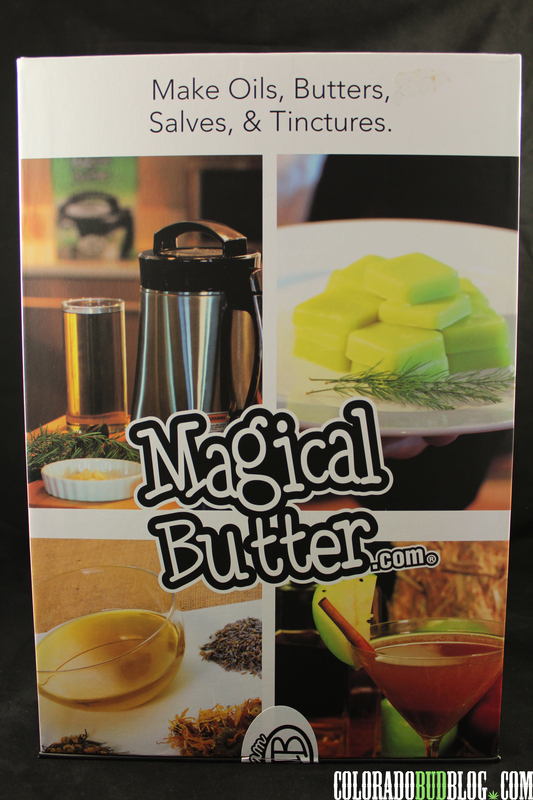 Take your Healthy living to the next Level by creating Infused foods and products with the Magical Butter Machine MB2e! Just enter “budblog” at the store at http://www.magicalbutter.com and save yourself 30 Dollars off your total purchase. 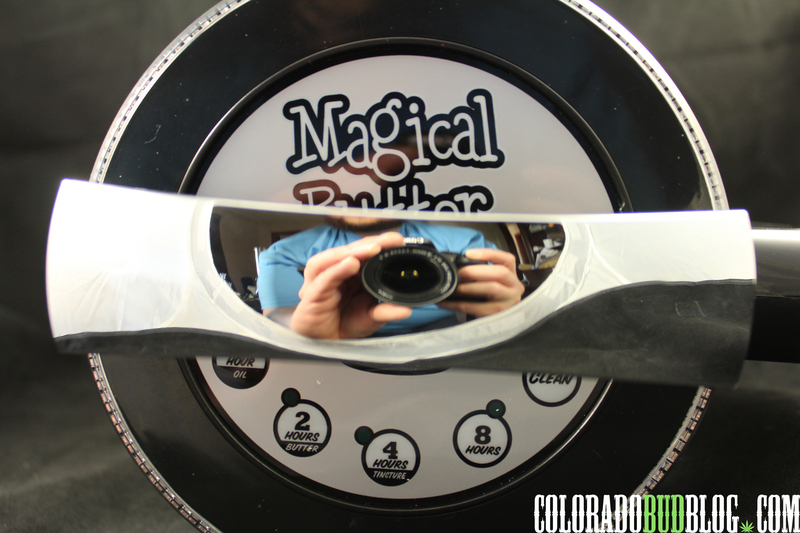 Stay Tuned for Tutorials with The Magical Butter MB2e Machine, and some fun recipes with Mrs. Chewberto420 to help stay medicated Organically..
Black Dog LED is Based out of Boulder Colorado, and they are Creating Top of the line LED grow lights for Growing indoors since 2010. 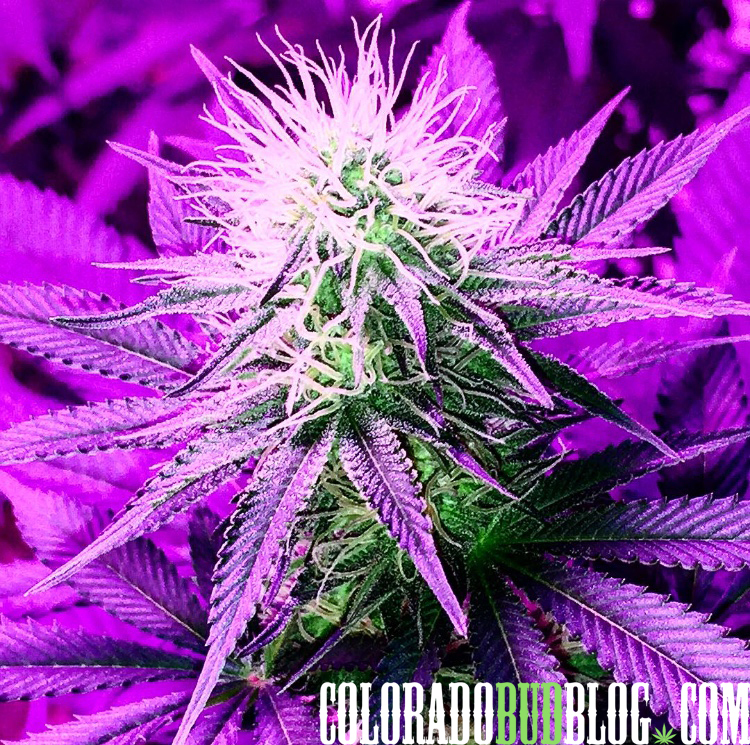 Today we are getting an inside look at the Platinum XL-U Grow light from Black Dog LED. 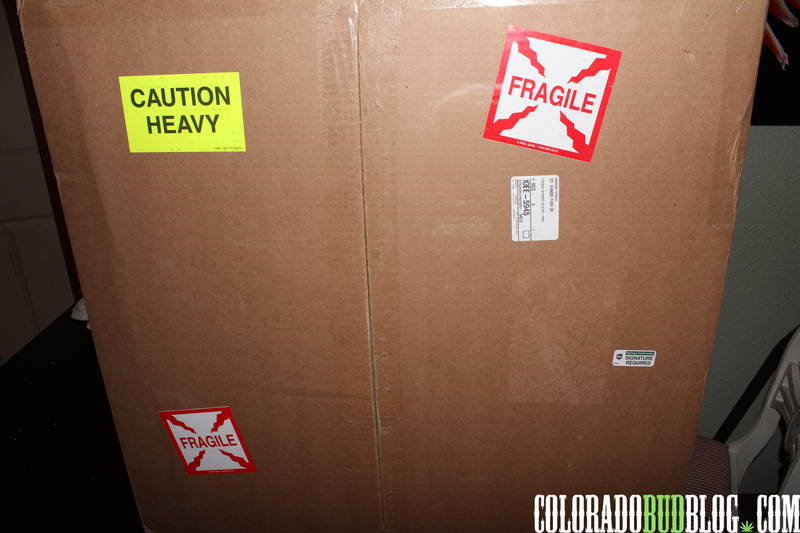 Shipped securely and promptly to your door. As you can see, they take the necessary precautions to get the light to you safely and without damage. 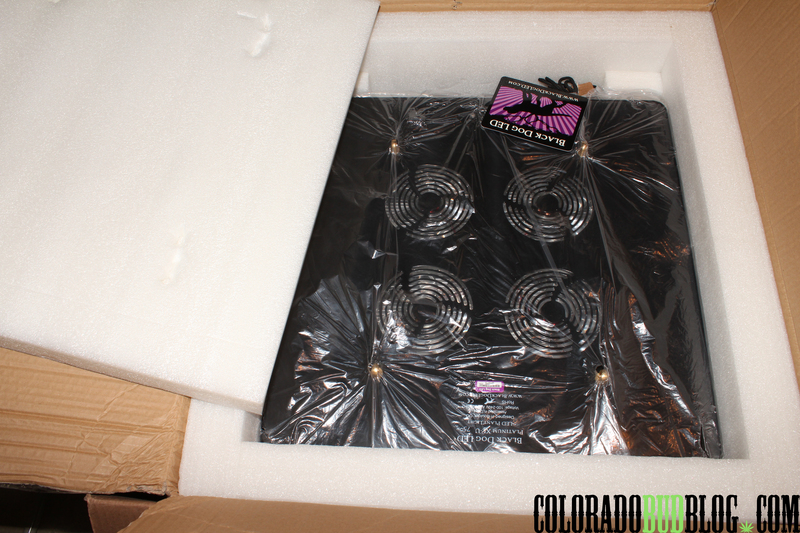 The Platinum XL-U weighs in at 47 pounds, the dimensions are 19.5″ x 19.5″ x 5″, and the amp draw is 6.25A~3.125A (@ 120/240v), opposed to a standard 1000w HID ballast (Phantom 1000w Digital) which pulls close to 9~5 amps. An excellent reduction of Energy needs. 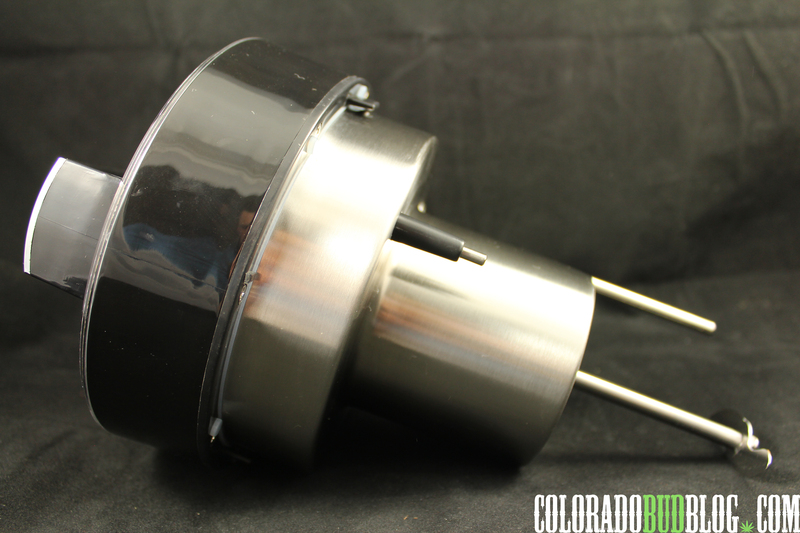 The Black Dog Platinum XL-U Delivers a lighting footprint of 7.0 FT in the Vegetative cycle, and 4.5 FT in Flowering Cycle, sure to match the footprint of any 1000w HID system. The Square design provides an even footprint to maintain an even canopy while growing for maximum yields. 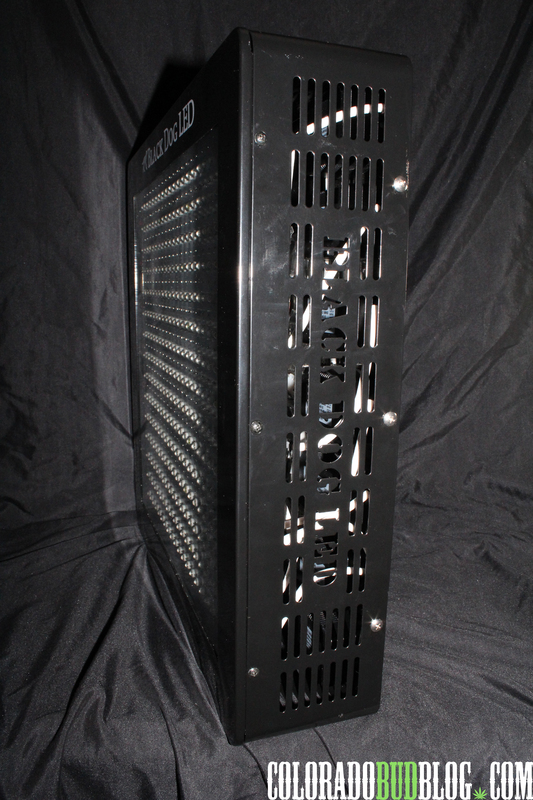 The Platinum XL-U utilizes the Largest heat sinks in the industry for superior cooling and increased LED life. 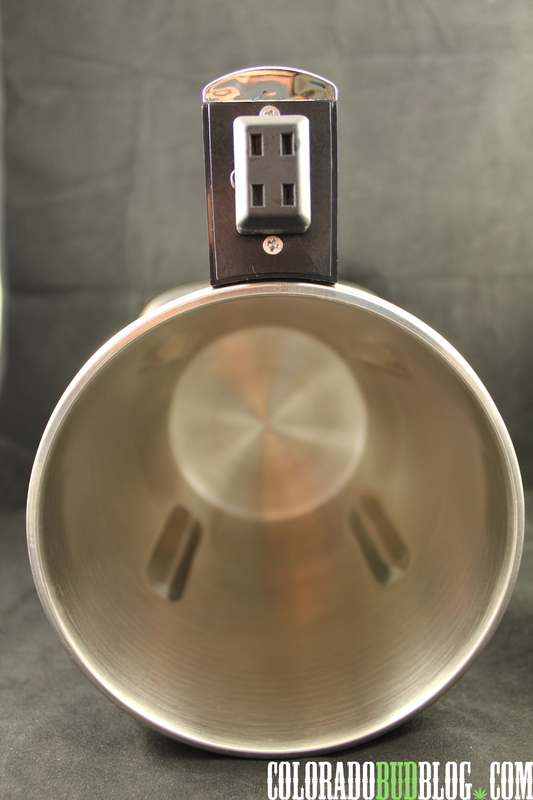 The Light offers Heavy duty rings for hanging, makes it easy to clip on a ratchet hanger. If you have low ceilings, you can use the close quarters bracket to get the proper fit. 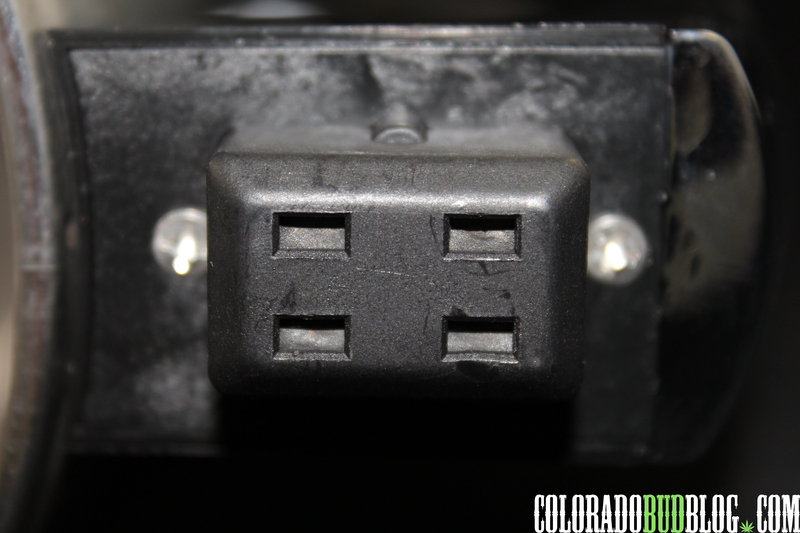 The Platinum XL-U is provided with a Heavy Duty 8 FT power cord for 120/240V sockets. 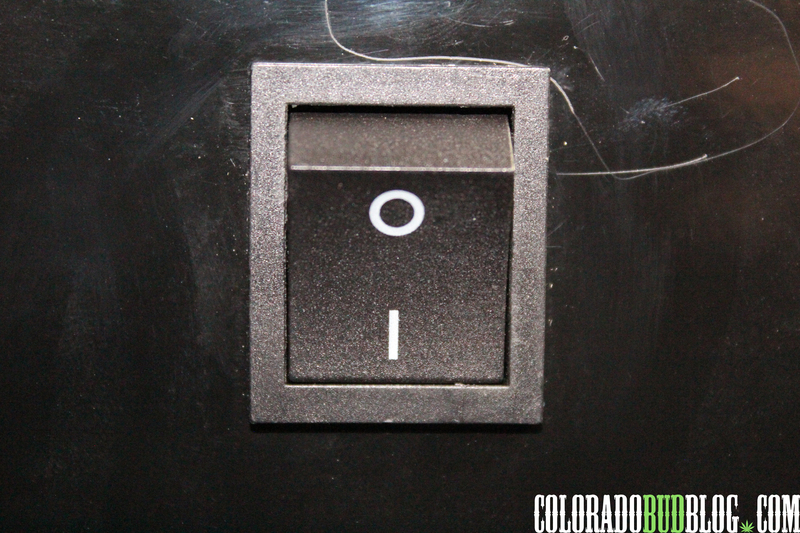 All you have to do is Hit the On/off toggle switch to bring the Platinum XL-U to life. Eliminates toxic Mercury required like that of HID and CFL Lighting. 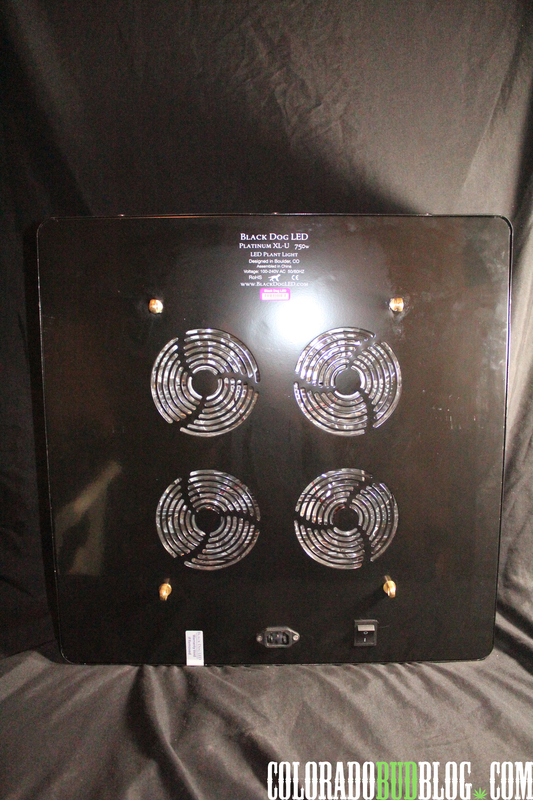 Generates less heat, resulting in reduction of energy costs from having to cool your grow space. Also the unit draws less energy when compared to a standard 1000w HID lighting system. 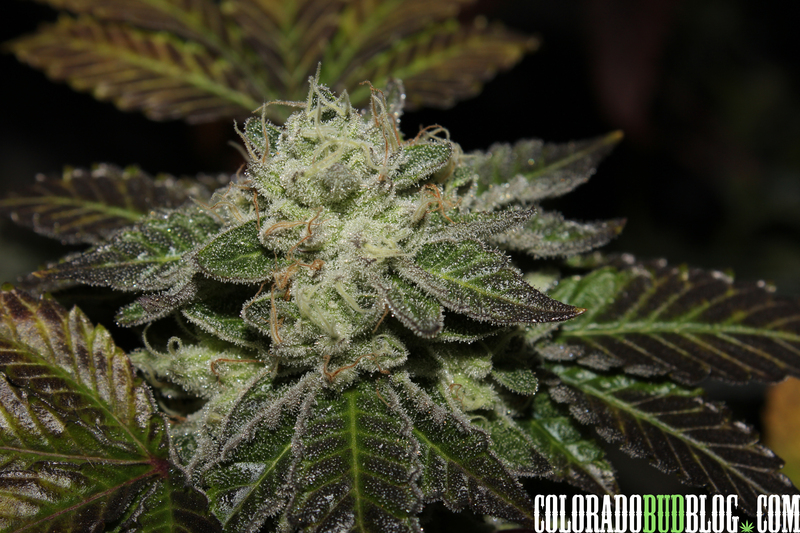 Black Dog LED’s Phyto-Genesis Spectrum is designed to unlock the plants full potential, which in turn maximizes Terpenes. Terpenes are the aromatics from the flowers essential oils, which are crucial to creating flavorful and robust product. 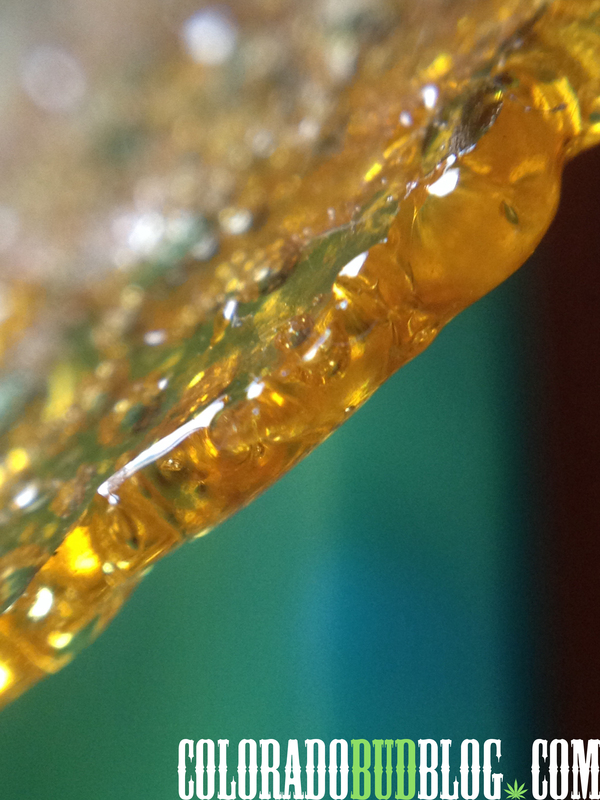 Terpenes also work hand in hand with medicinal value via the entourage effect. 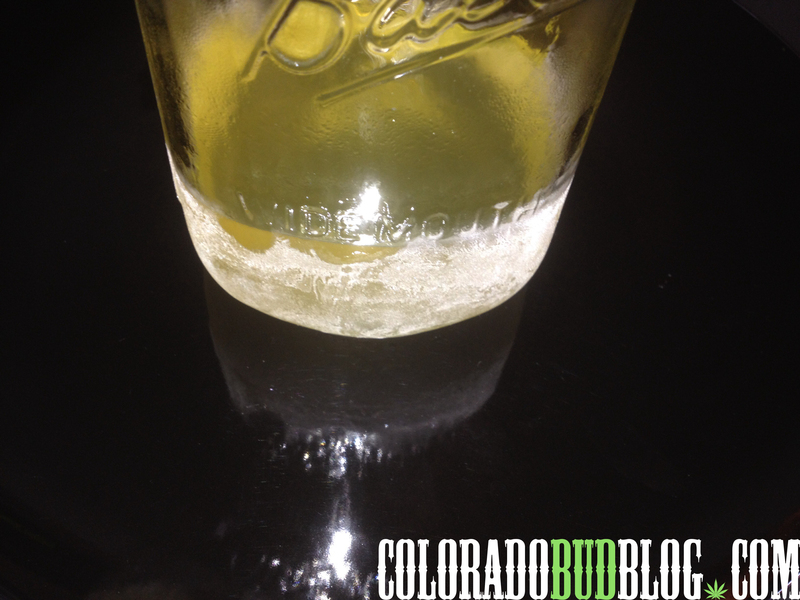 This helps create a better medicine, product, and connoisseur grade that is most desired. 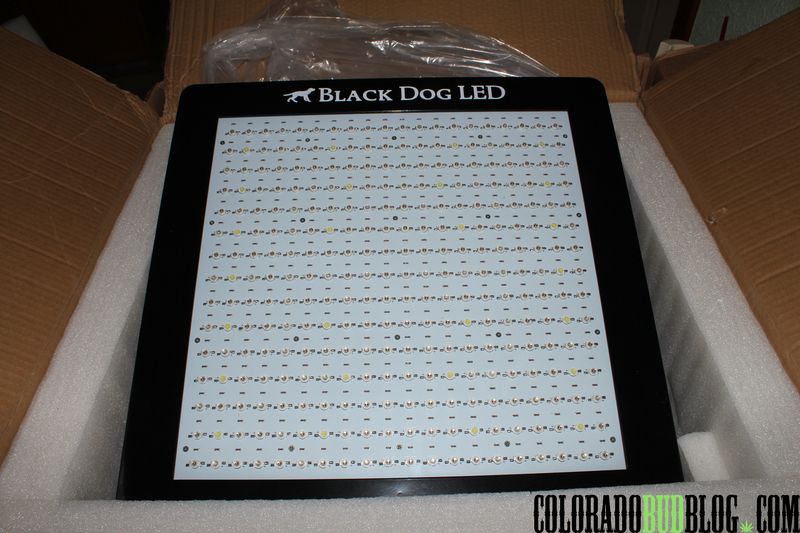 Black Dog LED is the First of many in the LED industry, so you can be sure they have gone through the testing to bring you the most up to date technology when providing LED grow lights. 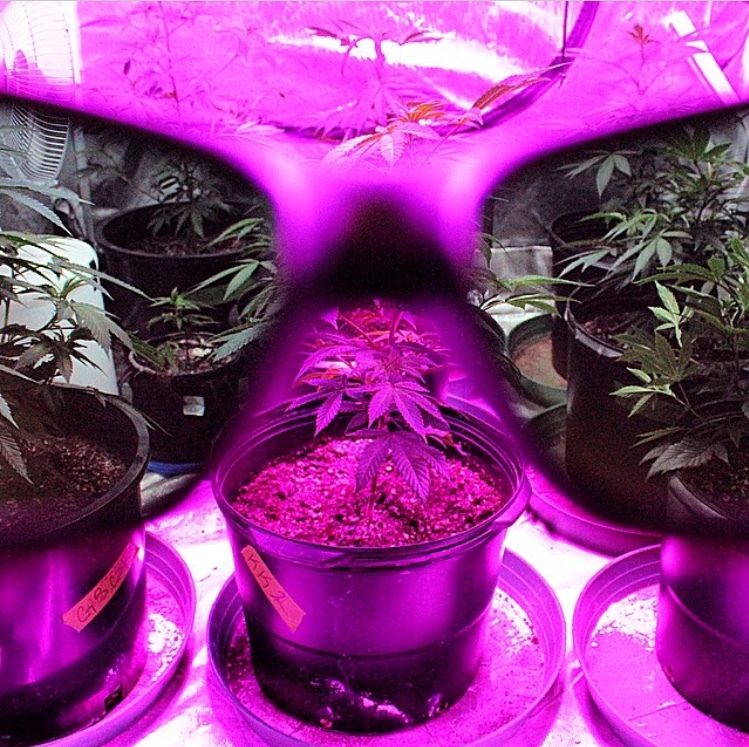 To incorporate UV and IR light, which enhances taste and aroma, as well as speeding up flowering time. To utilize warm and cool white chips to compensate for nanometers lacking in the spectrum. To design a light with a full spectrum that uses up to 17 different light spectrums. 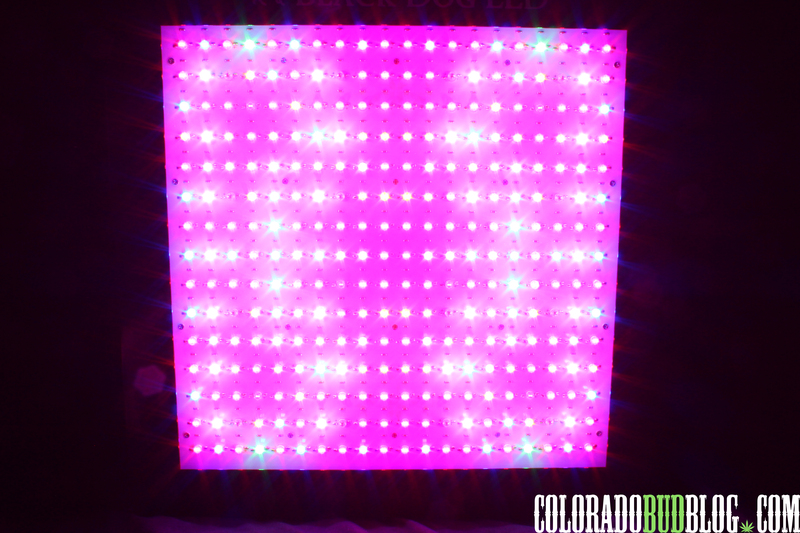 To dispel the hype and design a real 1000w HID replacement—the Platinum XL-U, which is the most powerful LED grow light on the planet, watt for watt and chip for chip. To use high – flow and quiet ball bearing fans. To incorporate all 18-gauge internal wiring, which eliminates any heat from impedance, further reducing wear on the light. To own a SpectroRadiometer and conduct independent research on spectrum and its effects on photosynthesis and ultimately on plant yield and health. And the only LED light company to offer a limited lifetime warranty! 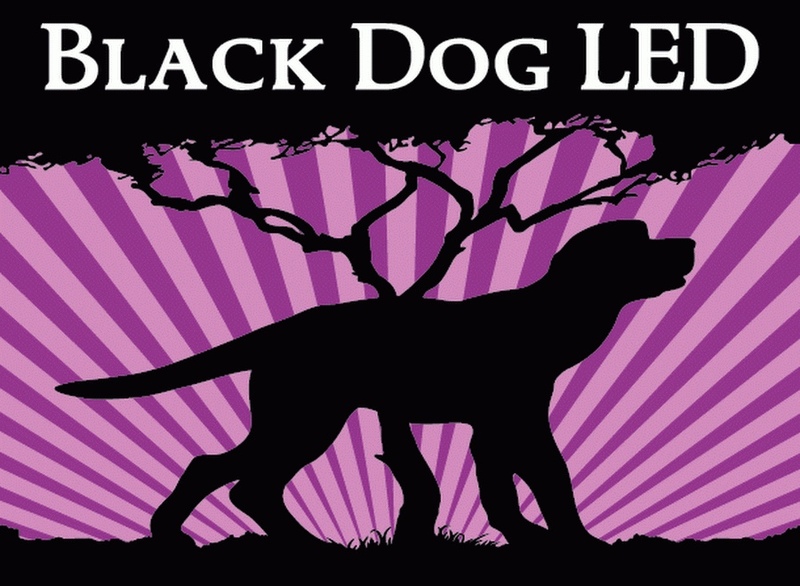 Knowing they have paved the way in this industry will have you resting easy after joining the Black Dog LED family. 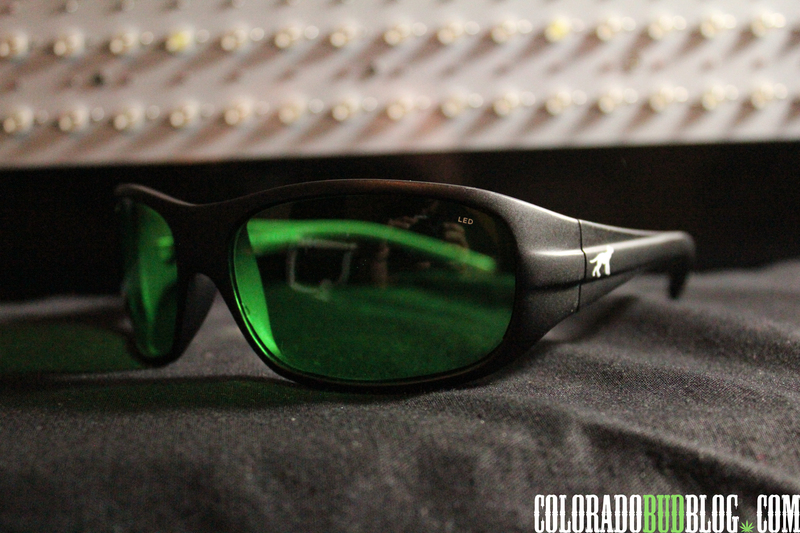 Stay tuned for the Review on the Method Seven Black Dog Operator LED Glasses. 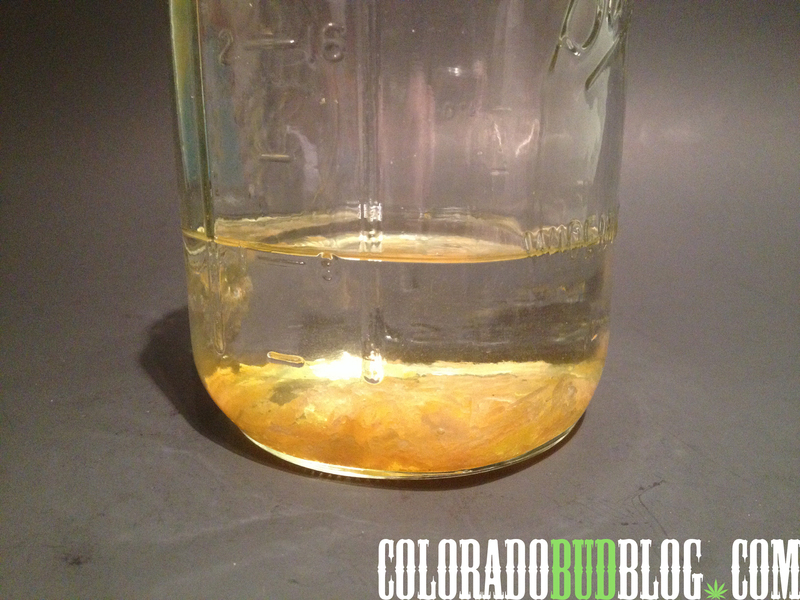 Winterization Is the process of removing all residual, solvents, waxes and fats from the final product using ethanol to make an “Absolute” product. 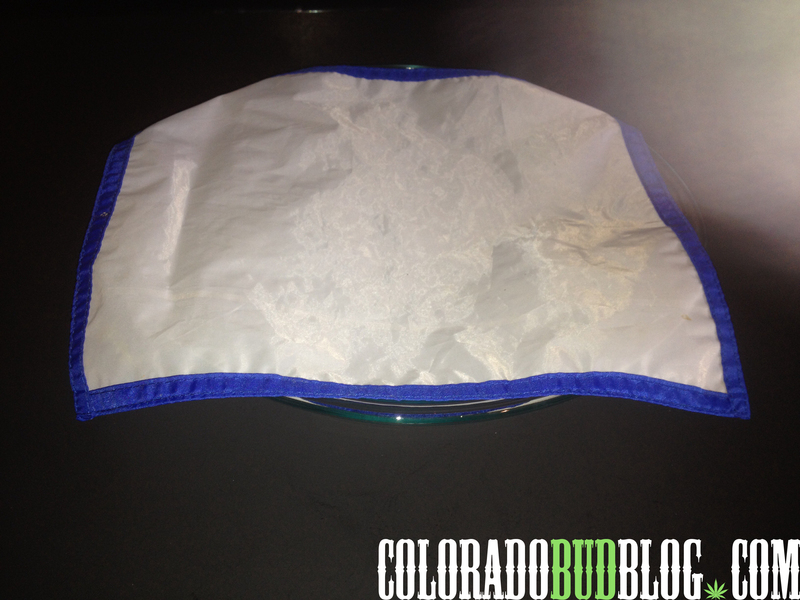 We do this to create a pure product that is easy on your lungs and safer for consumption. If done properly you can create some tasty and super stable products. 1. 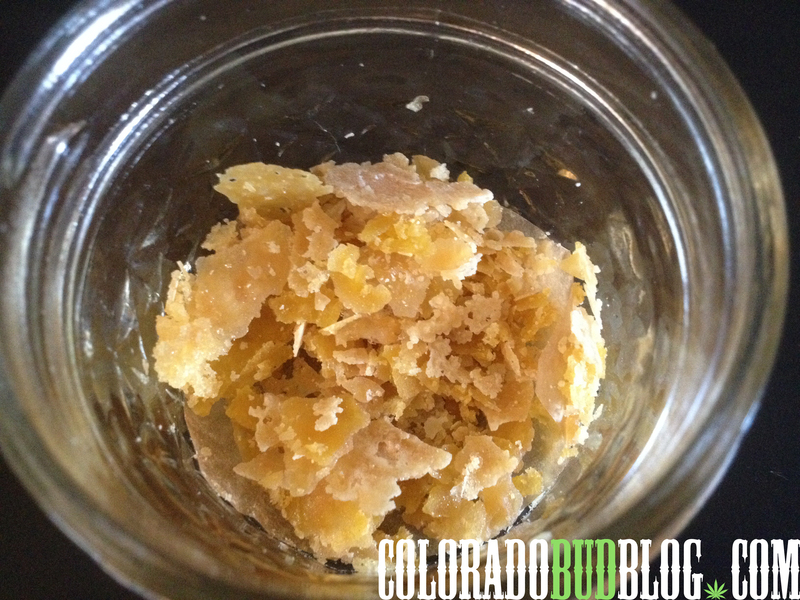 Provide Quality single solvent Butane Hash Oil of any consistency. 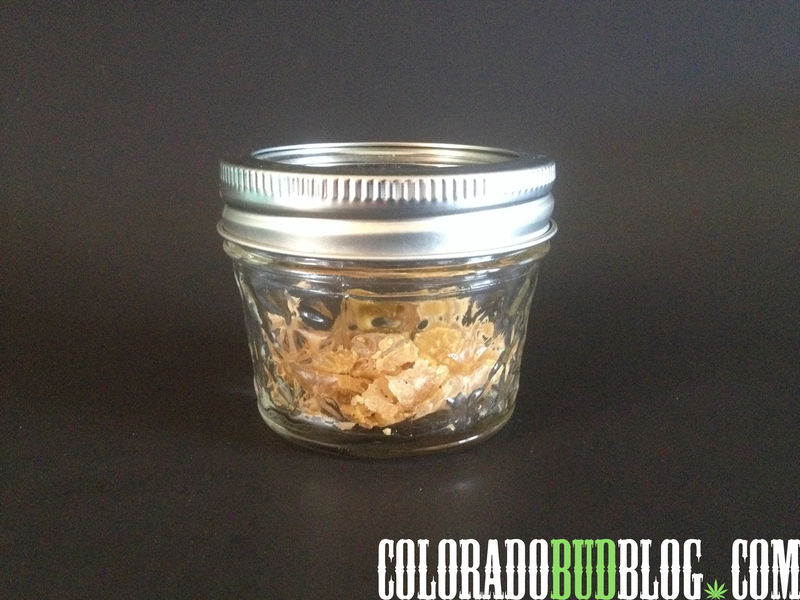 We have a small batch of 6.0 Grams of crystalline BHO flake to winterize. 2. 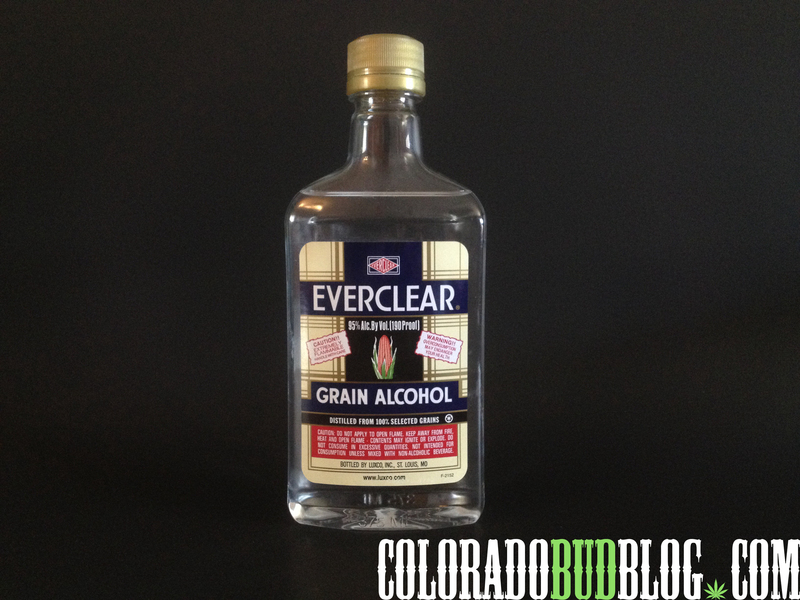 Use ethanol that IS NOT Denatured, I am using Everclear for this process. 3. Get your product ready! 5. 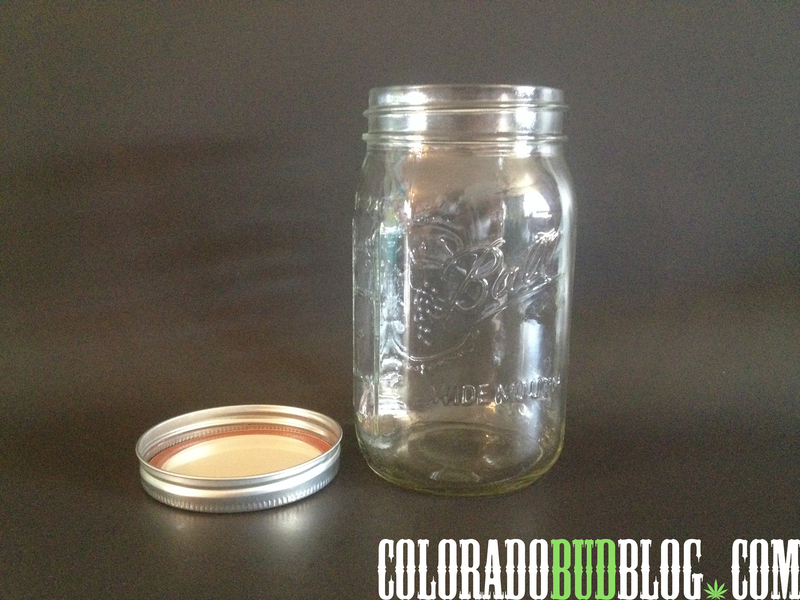 Pour the Everclear into the Mason Jar, you want to use around 1-2 oz of ethanol per gram of oil product. 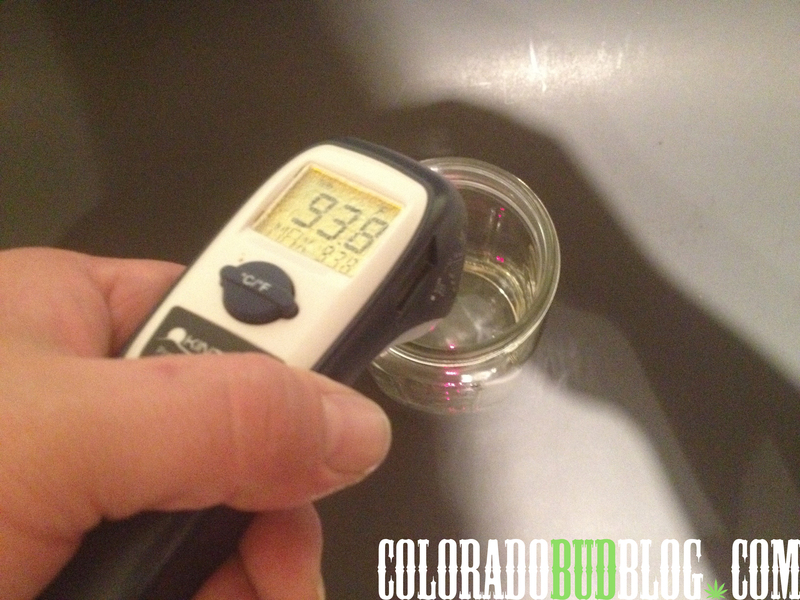 if you’d like to expedite the emulsifying process, you can heat up the ethonal to about 85-90 degrees Fahrenheit (No Open Flames), use your Infrared Temp gun and check your temps, make sure to stay around 85 degrees to preserve terpenes. and pour it into the ethanol mix. 7. 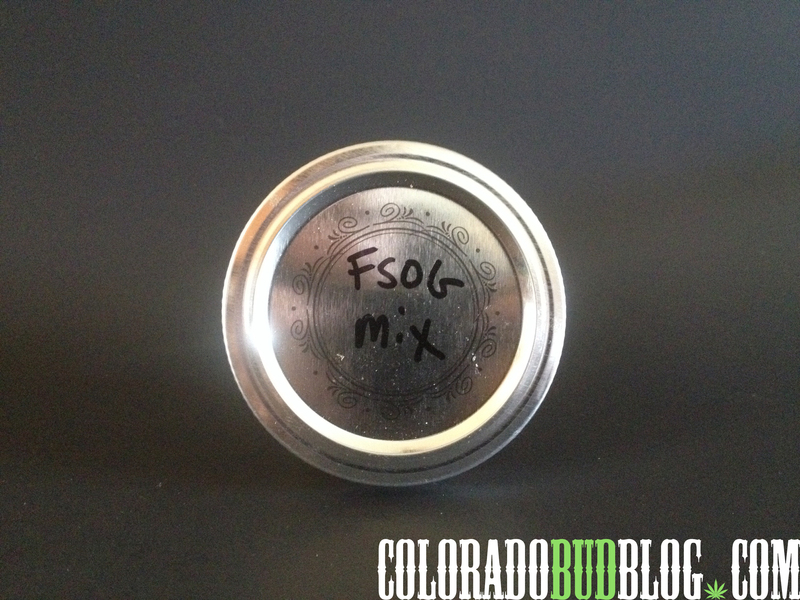 Put the lid on the Mason jar, and swirl the ethanol hash blend around to begin breaking down the mix until it is emulsified, and is one solution. 8. 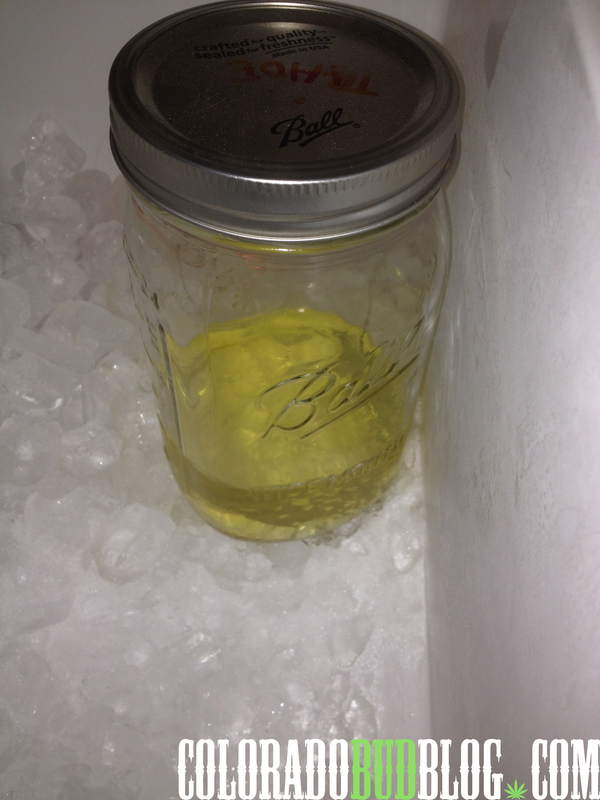 After you’ve mixed up your Ethanol and hash into a single clear solution, you are going to put this jar in the freezer for 24-48 hours. The freezing process will occur more rapidly under lower temps. 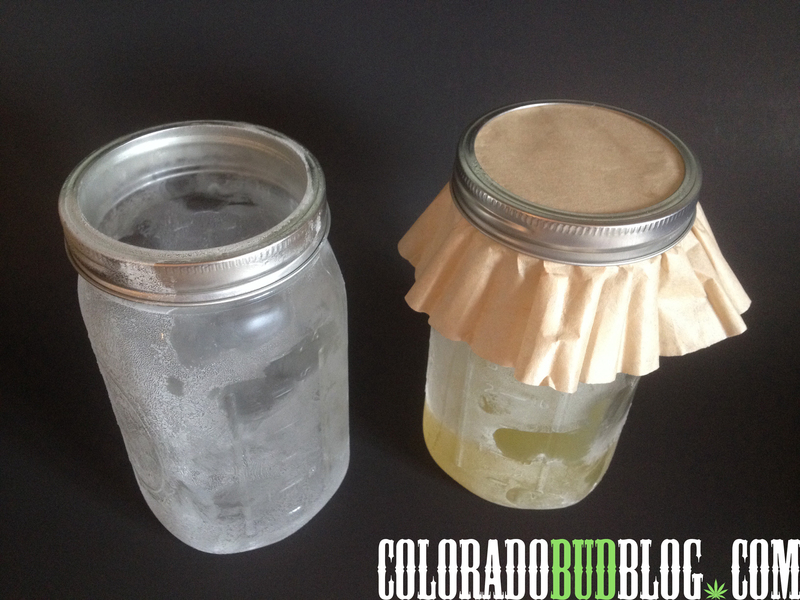 At this time, throw another clean Mason Jar into the freezer to prepare for the liquid transfer..
After 24-48 hours, you will notice Plant waxes and fats (lipids) coagulating within the liquid mix. It is now time to filter..
9. 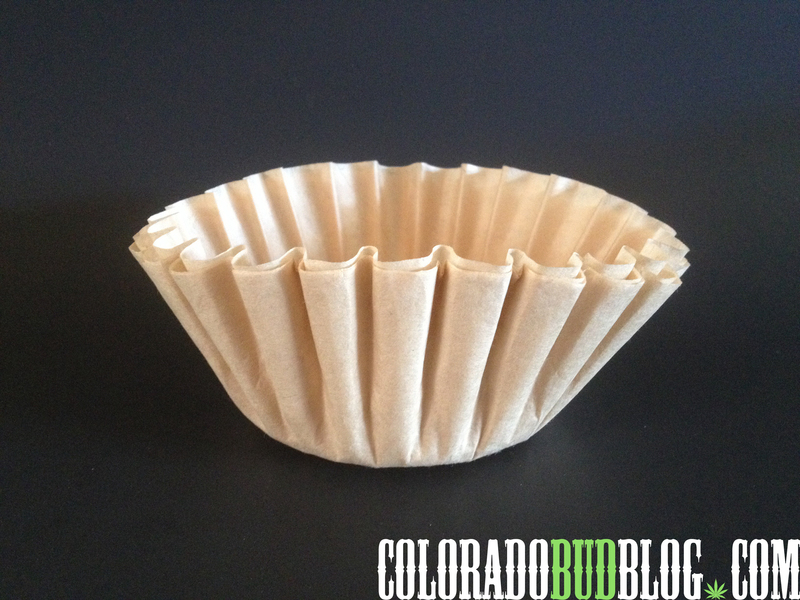 Grab your Unbleached Coffee filters and a funnel. 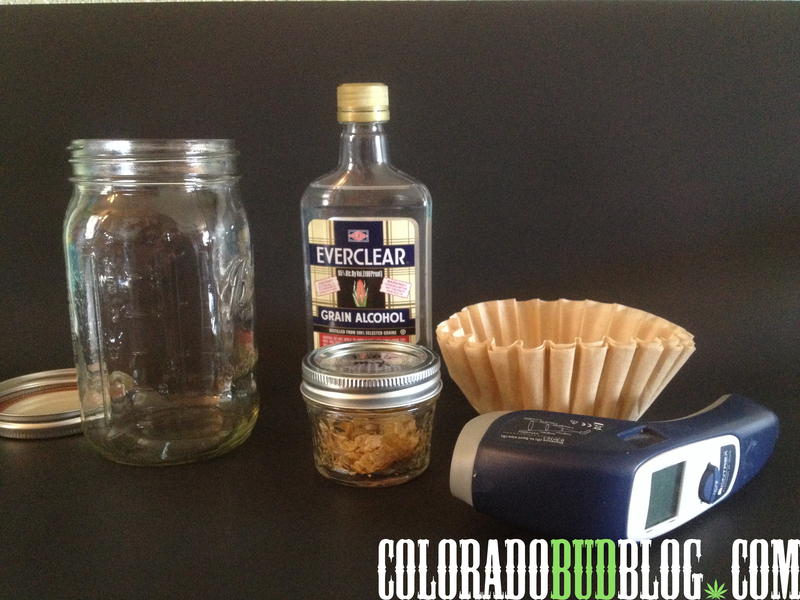 Now Pour the Frozen Ethanol hash and lipid mix, into the other frozen mason jar, do this with a funnel and unbleached coffee filter. 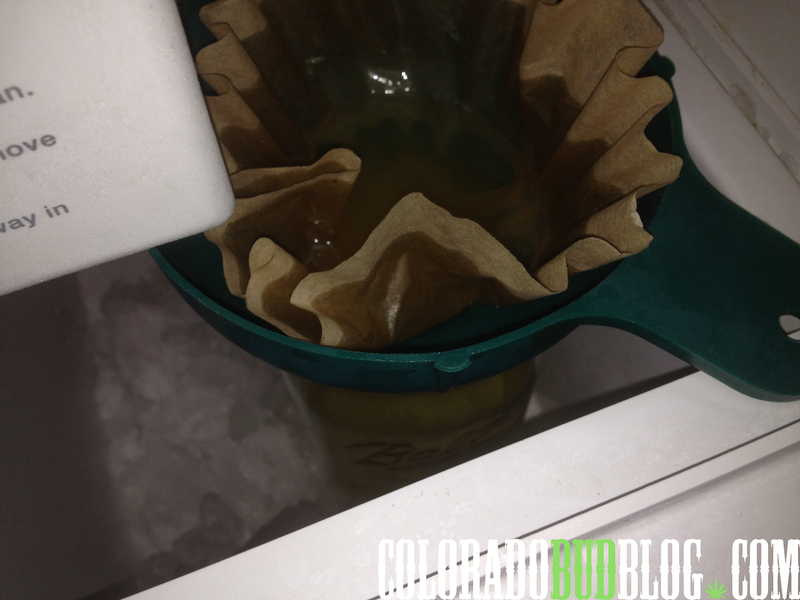 Make sure you do the filtering process inside the freezer the entire time, until it has finished. 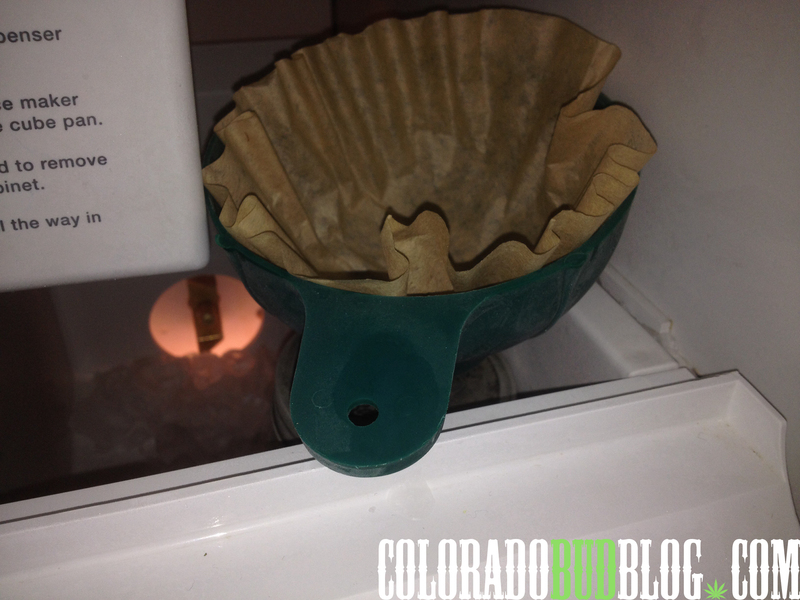 You can also secure the Coffee filter to the jar, by attaching just the ring for the lid to the jar. Now, Time to pour and Evaporate. 11. 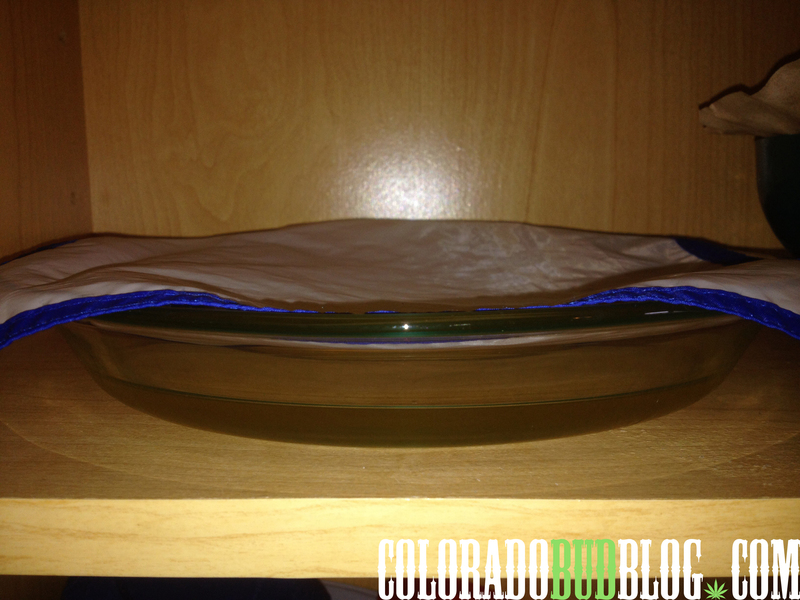 Grab a Pyrex dish of your choice, and pour your new filtered liquid onto the dish. 12. 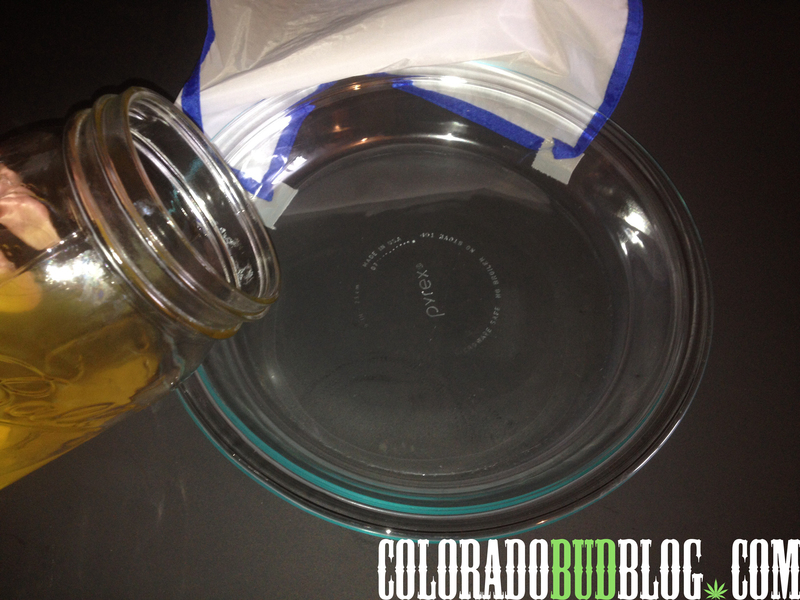 After you’ve poured the solution onto the Pyrex, Be sure to cover the dish with something breathable to deter airborne particles from contaminating the liquid while it is evaporating. I put My dish into an empty cupboard. 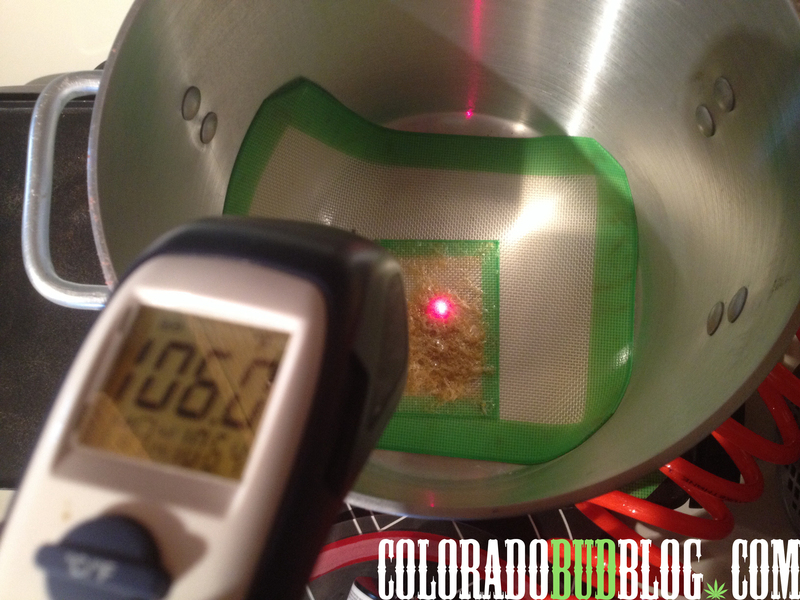 Set the dish in any Room Temp area, and wait till it starts to evaporate and reduce down to oil. 13. When your product looks something like this, and is no longer a liquid state, but a goo state, you are now ready to scrape up and Vac-purge. If you don’t have a Vacuum Oven/Chamber, you can allow it to reduce on a warm water bath, trying not to allow the oil to exceed 90 degrees. 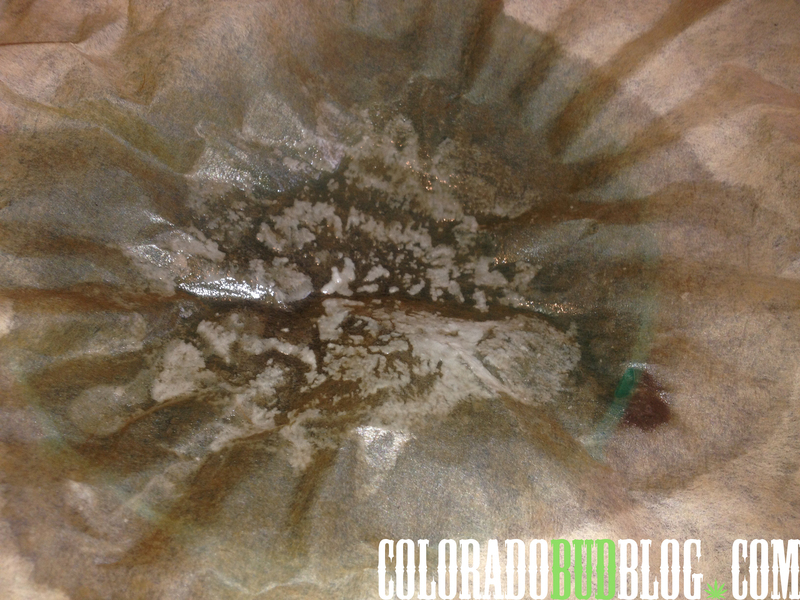 Now, Scrape up your oil onto an Oil Slick pad, or unbleached parchment paper for the final step. 14. After you’ve scraped up the oil onto a non stick surface, put it into a vacuum oven/heated chamber to begin warming the oil mass until it has reached 85-90 degrees. Don’t vacuum until it has reached temp. 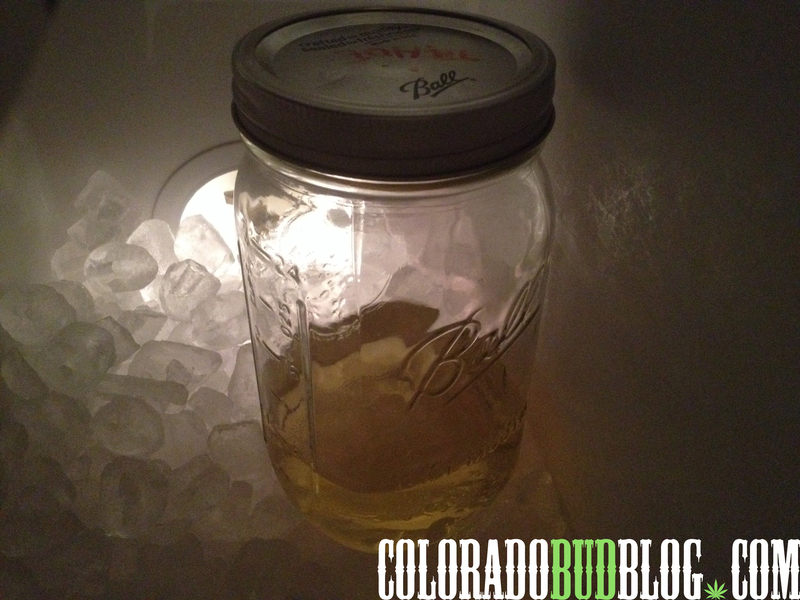 After it has reached desired temps, you can begin vacuum purging the remaining ethanol from the oil. 15. After the product has purged, you are all finished. 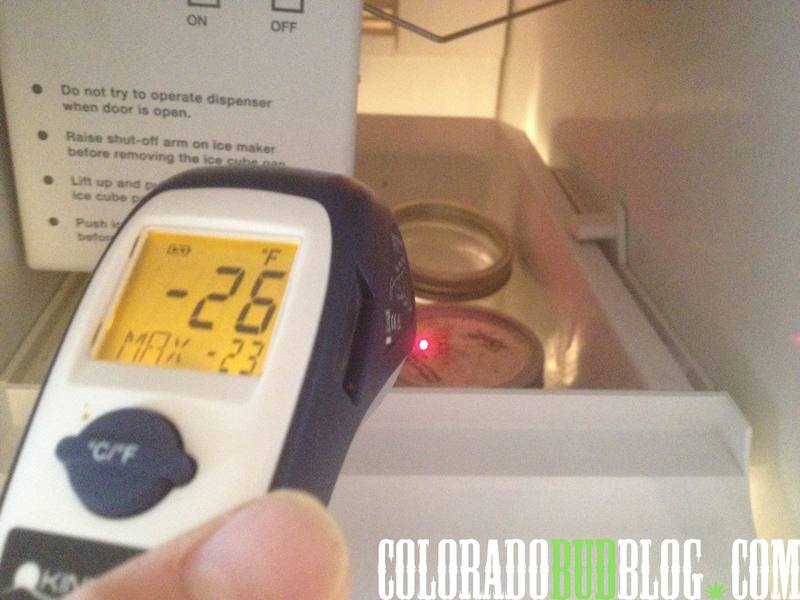 The amount of time to engage in the purging process is relative to the amount of oil that you are winterizing. This could take anywhere from 12-48 hours to purge. 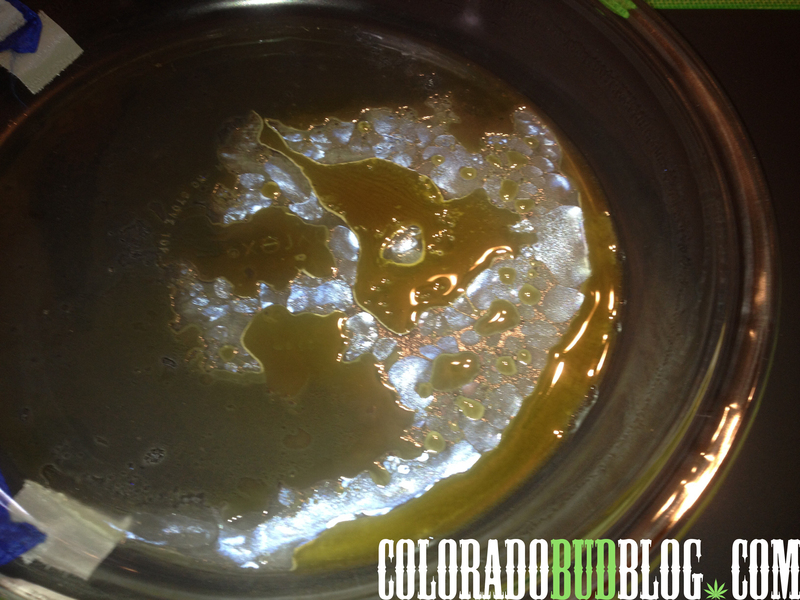 You now have a beautiful “absolute” dewaxed BHO product, residual free from lipids and butane. 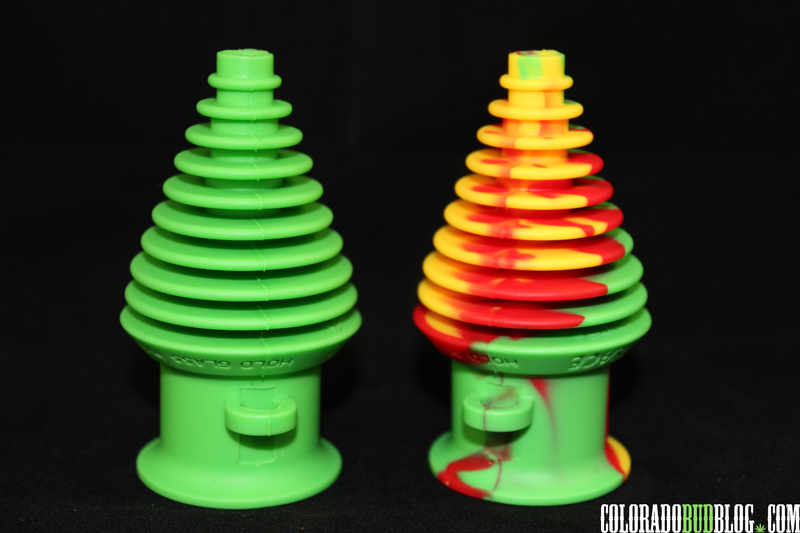 Colorado Dabsmith is a company manned by Brothers Jordan and Jonathan Thompson. 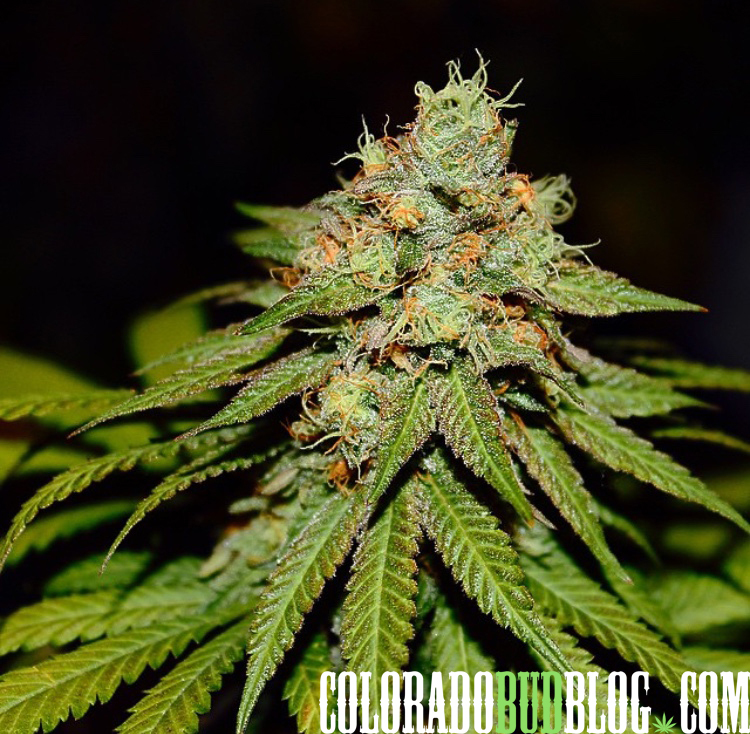 A company which is Based out of Colorado, and was Established in 2014. 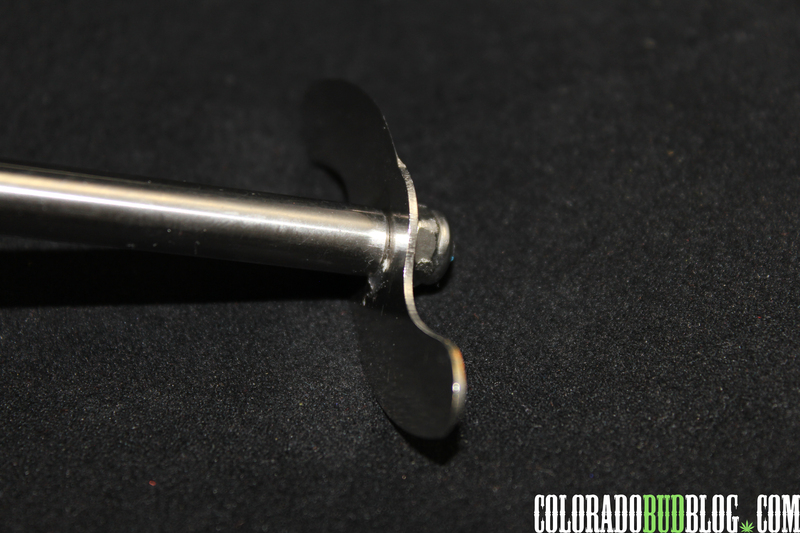 Colorado Dabsmith offers Fresh and Unique products made from Titanium, Stainless Steel, Aluminum, Carbon Fiber and 3D-printed plastics. 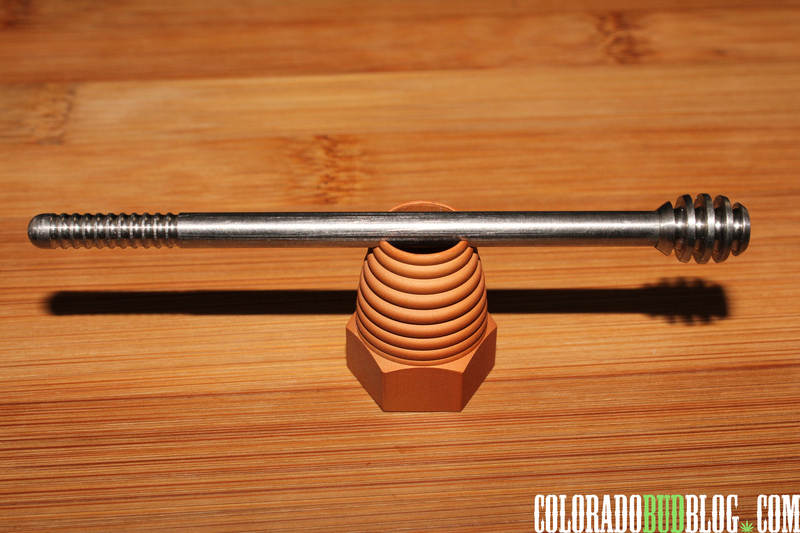 Take a look at the Colorado Dabsmith “Honey dipper” Titanium Dab Tool and Stand. 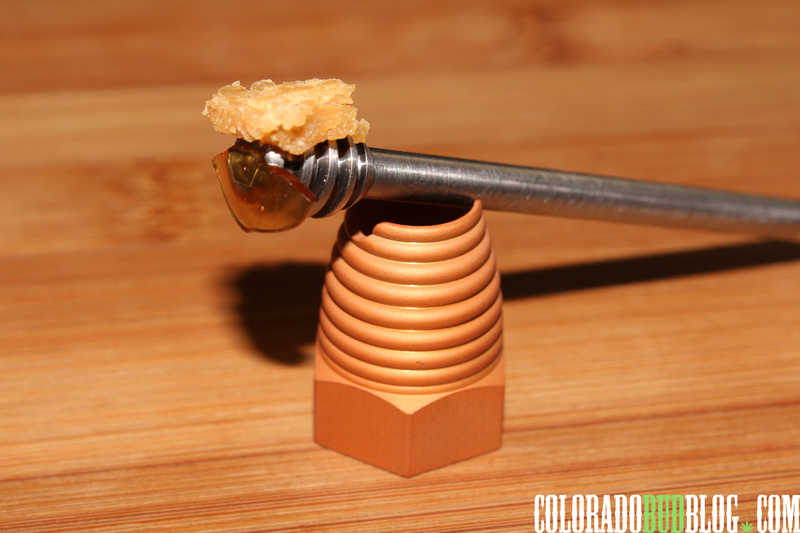 The Dabsmith Honey dipper is an Awesome and versatile tool to say the least! Stretching in at 4 inches long, and constructed from Grade 2 Titanium. 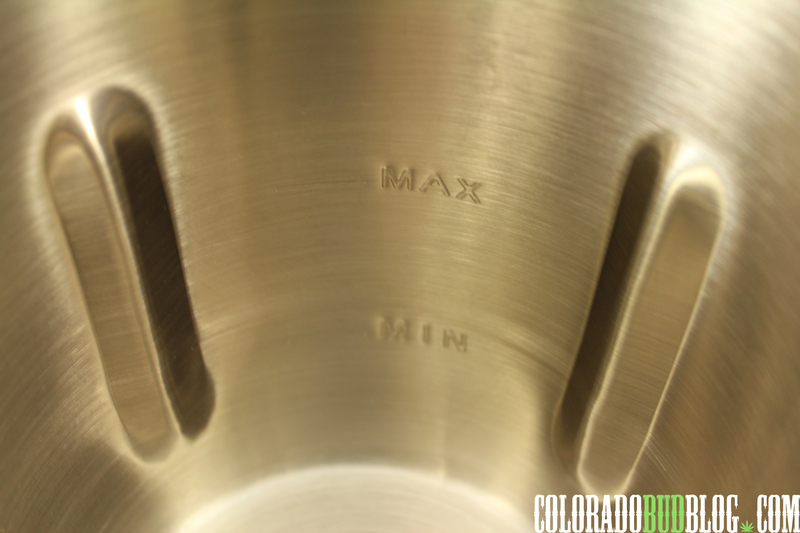 Machined in Fort Collins, Colorado. 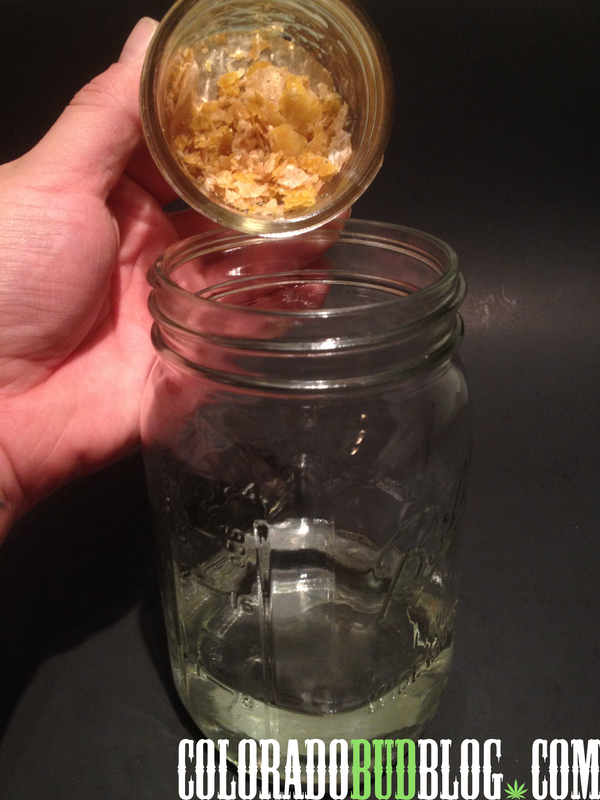 The Dabsmith Honey dipper Tool is Very handy in serving up shatters, budders, and waxes , but most importantly, gooey oils. 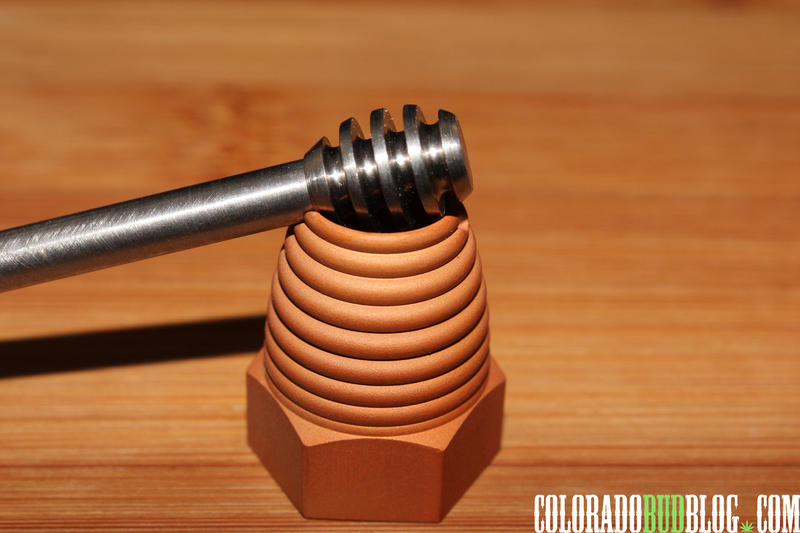 We all know that Hash oil can be challenging to work with and grab, but The Honey dipper has no problem pulling up gooey Hash oil with the unique Hive like dipper head. 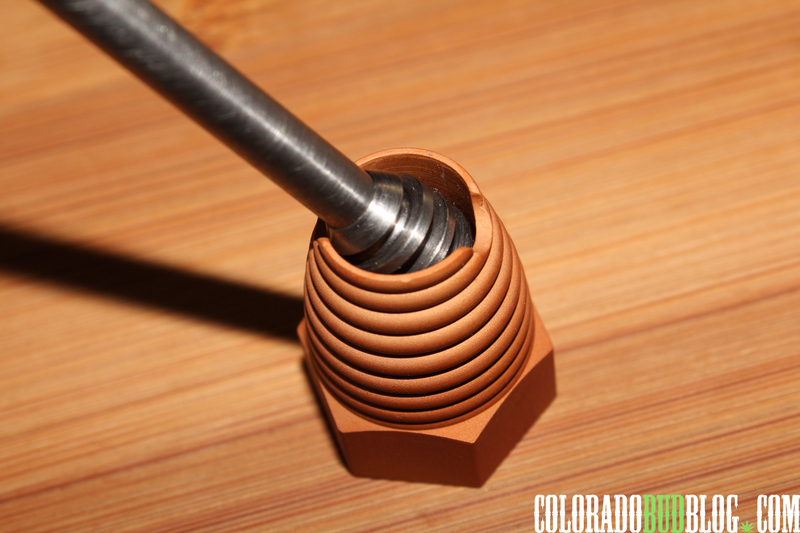 Complete with texture grooves at the end of the tool to insure a stable grip when Dabbing. 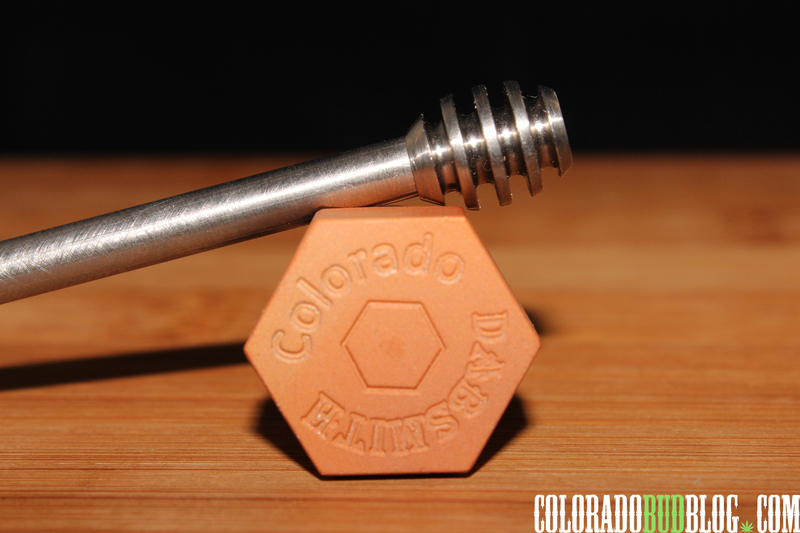 I would definitely recommend this tool from Colorado Dabsmith. 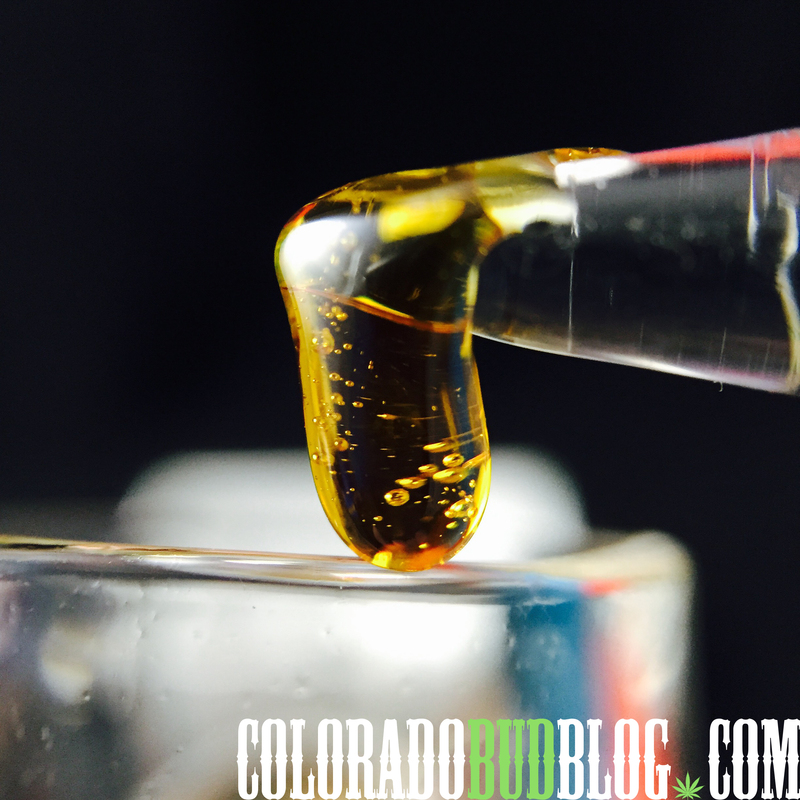 When working with Co2 and Butane oils that are more viscous and have a liquid consistency, this piece can make your dabbing sessions run a lot smoother. I haven’t posted any Pics in a while… Here are some Flowers that are 45 days In-Bloom in my garden. 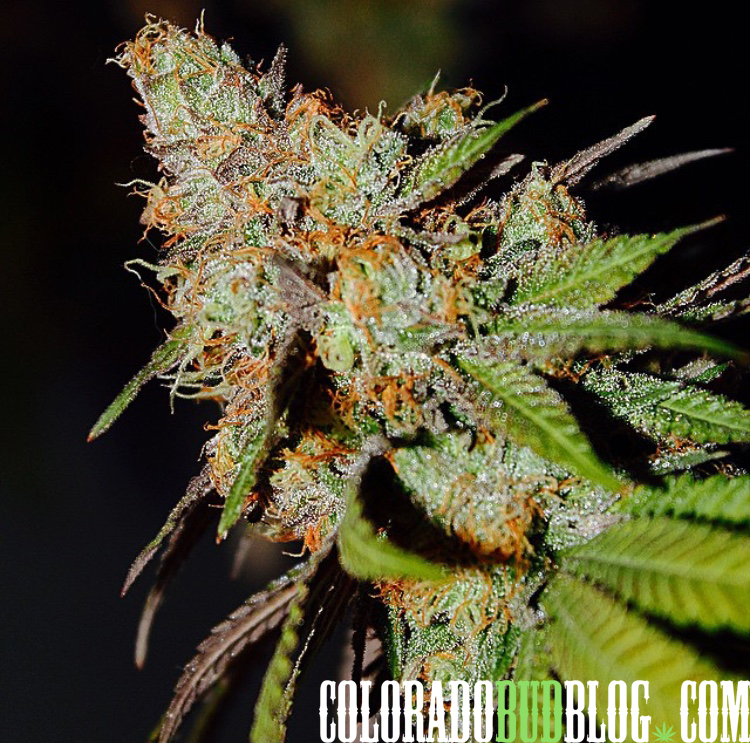 Stretches around 3/4, and puts out huge calyxs that are covered in thick trichomes. 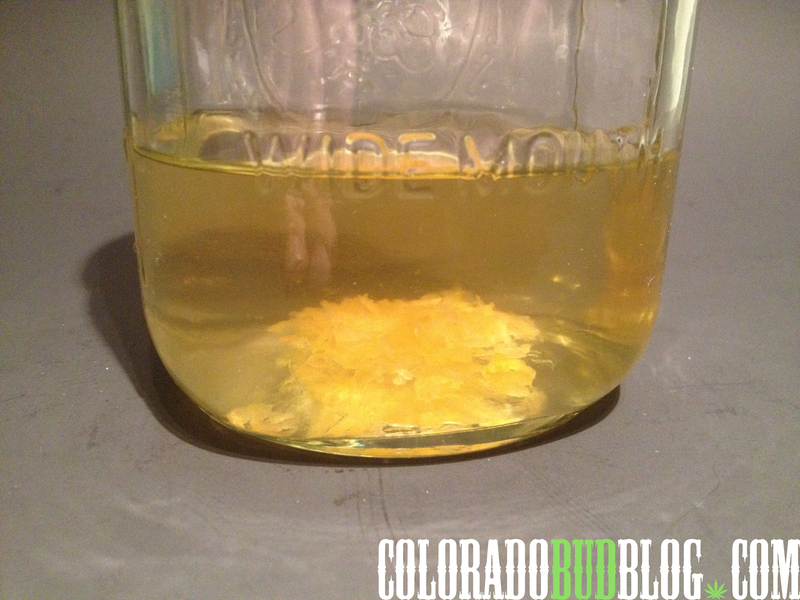 Amazing Lavender Aromatics come from this girl. Light yielder, not much stretch, maybe 1/2-3/4 stretch. Bagseed #2 from Girl Scout Cookies Forum cut. Huge stretcher, and about a 65-70 days pheno. 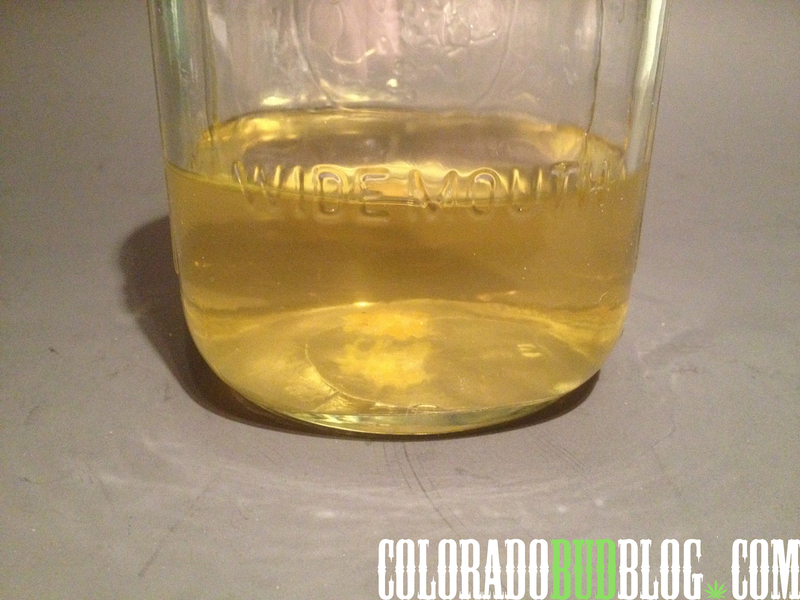 Extreme Pine terpenes with a touch of musk. 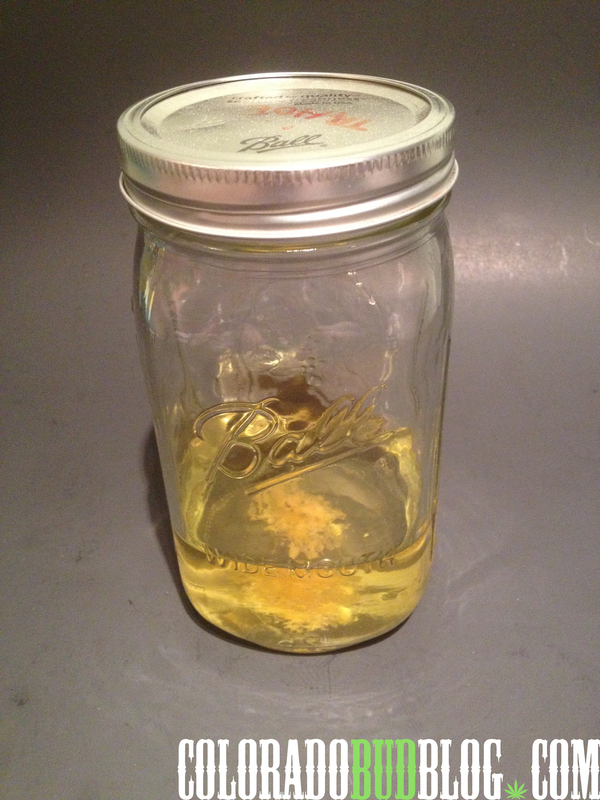 Lime smelling stock… This girl i cant seem to cull from the garden. about 4 oz out of her typically. 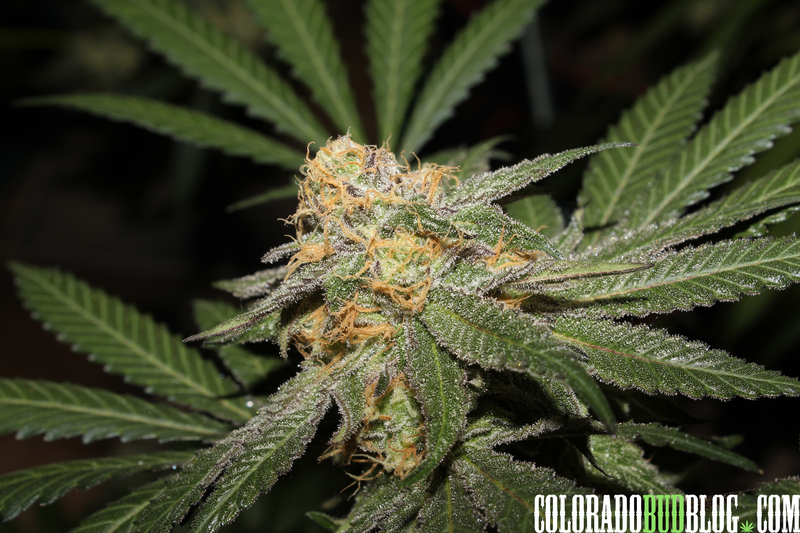 Kens Kush Sour Purple Rock Pheno. This girl is a 50 day strain that is amazing. 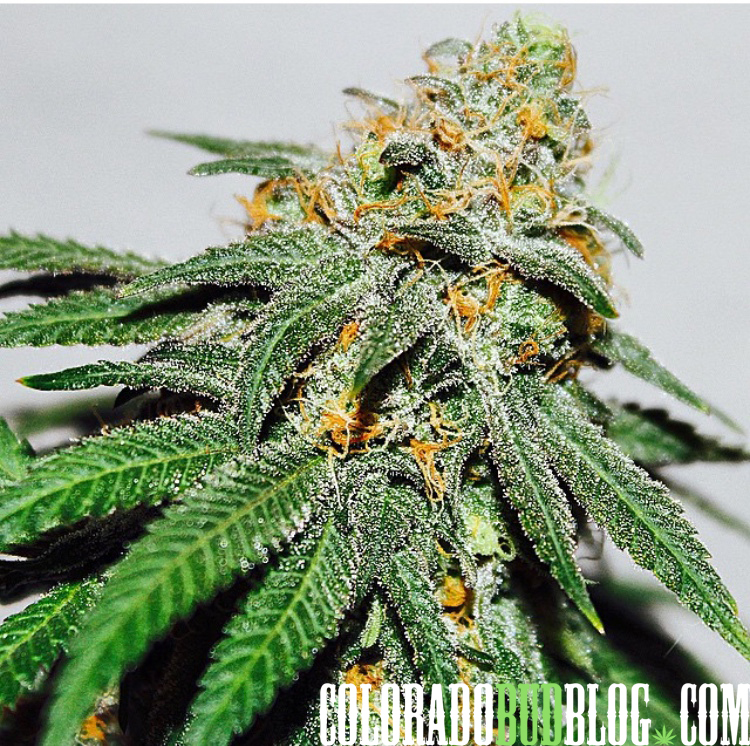 Sweet GDP dominant, about 3-4 ounces in 6 gallon pots. requires light feedings. double stretch.